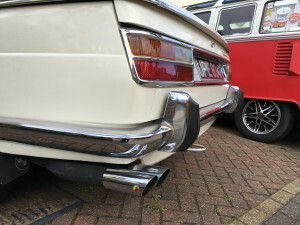 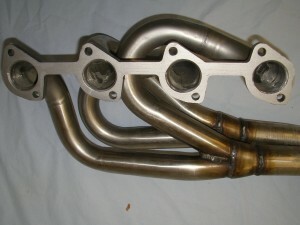 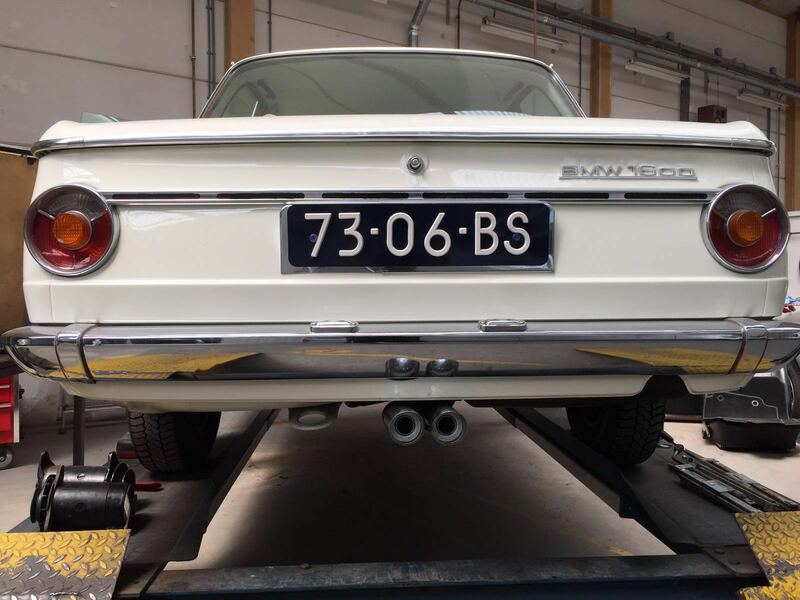 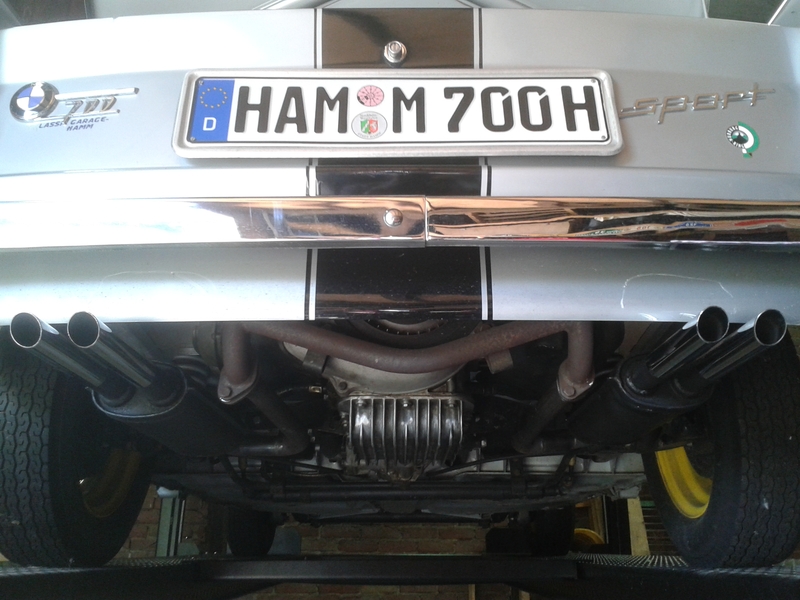 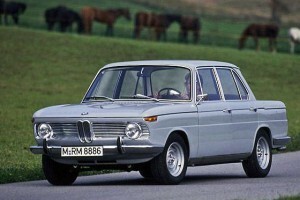 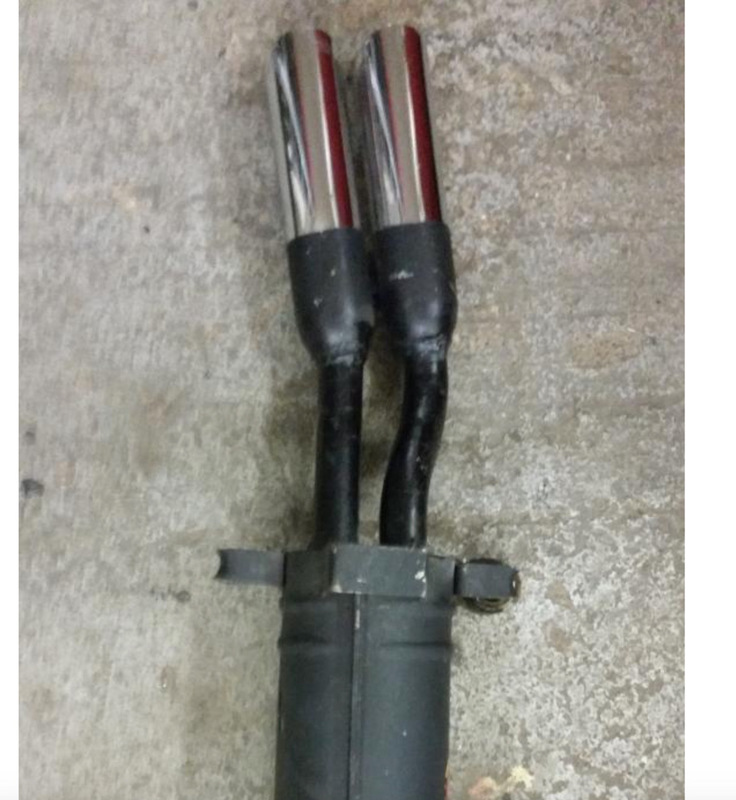 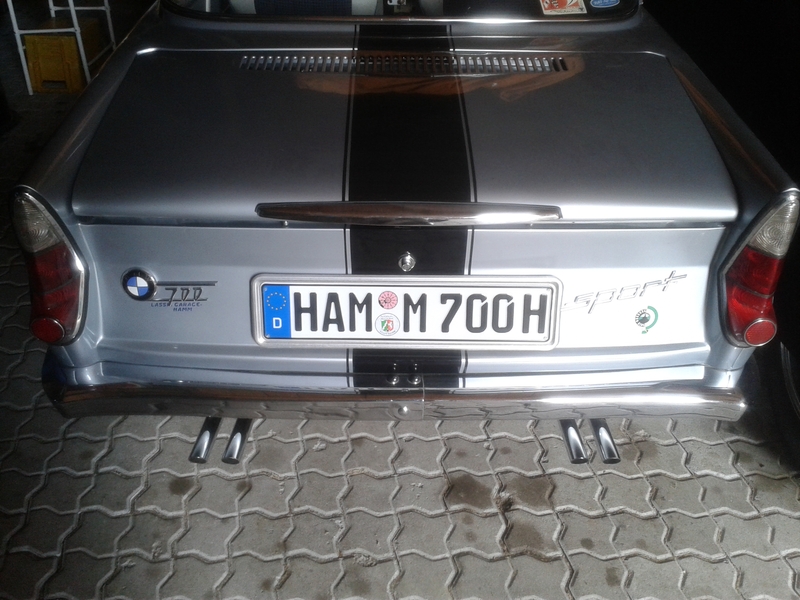 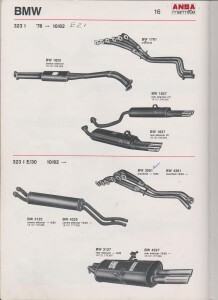 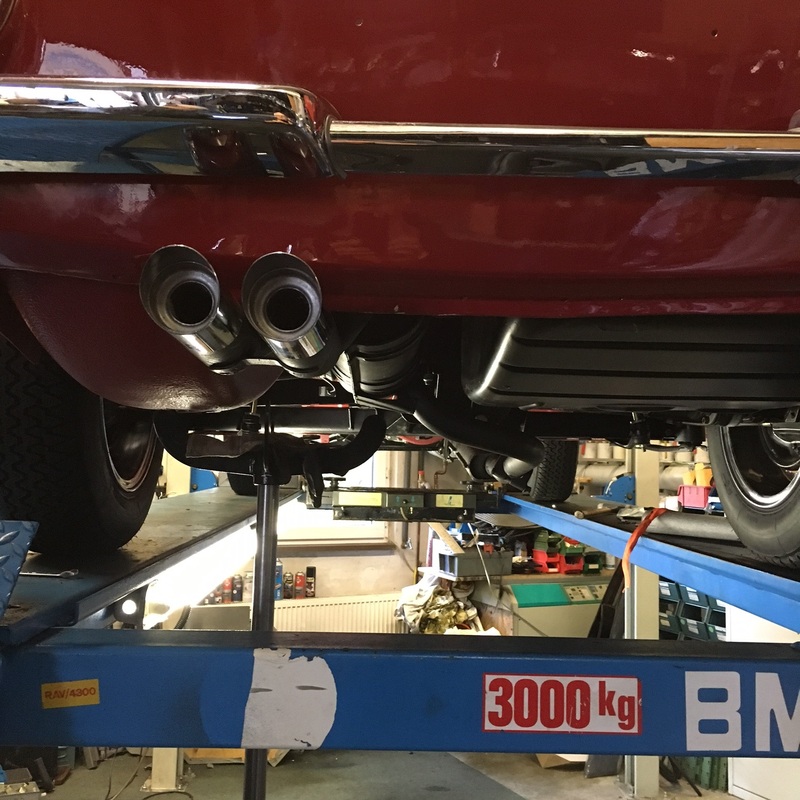 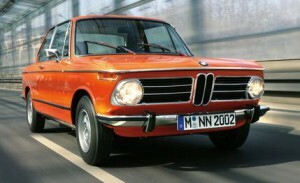 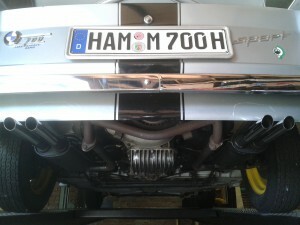 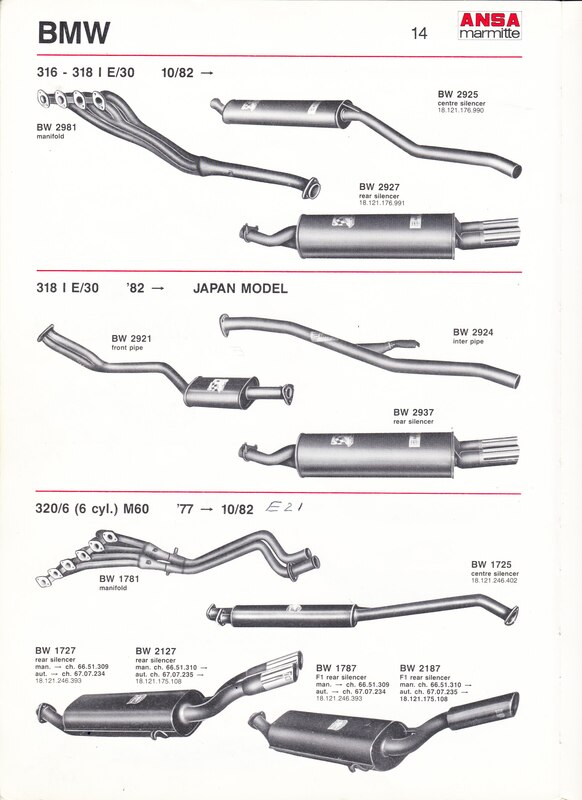 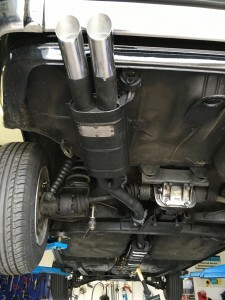 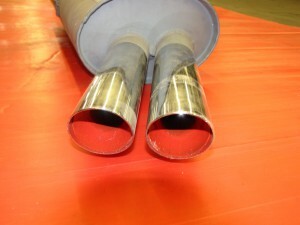 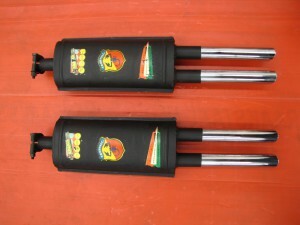 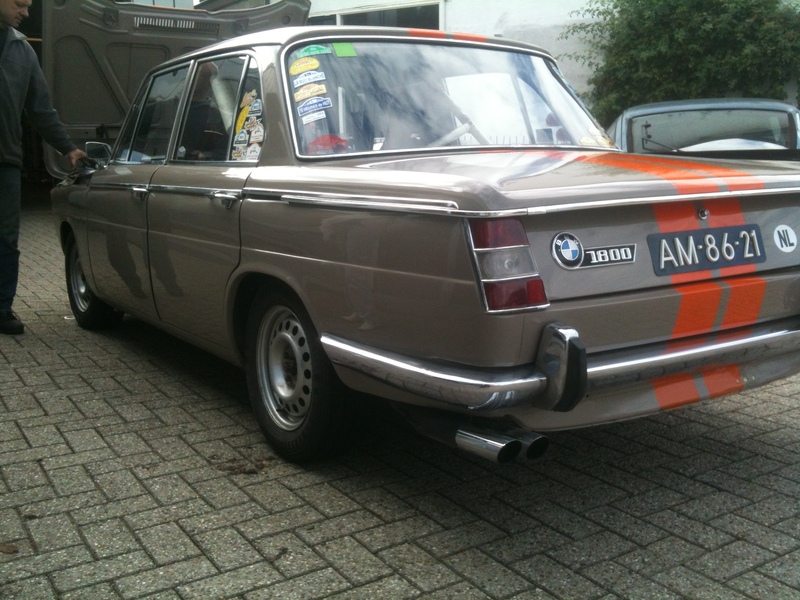 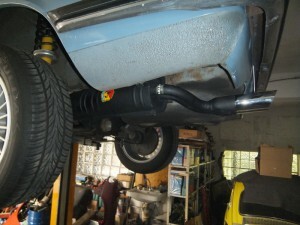 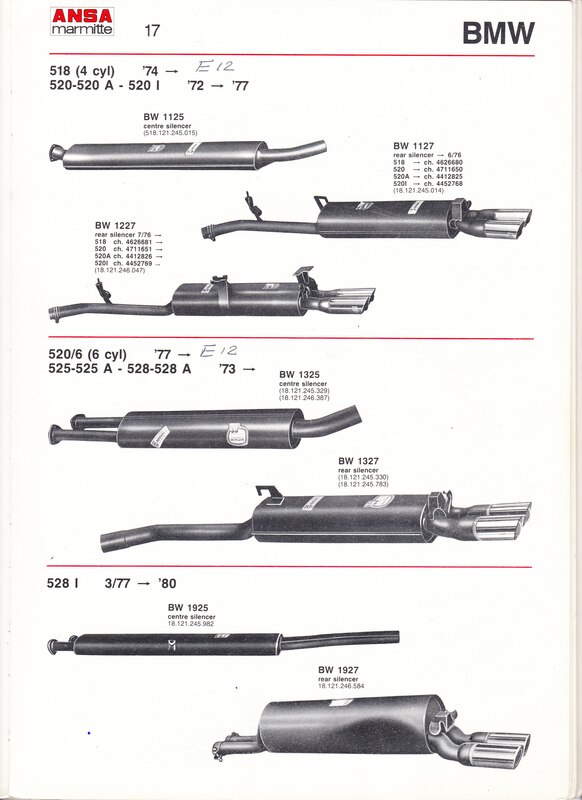 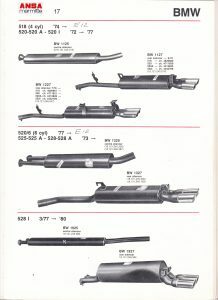 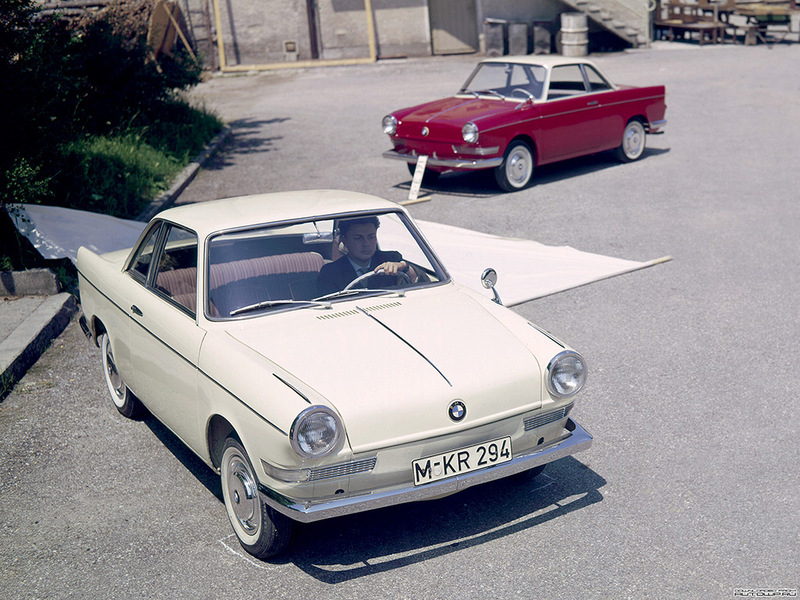 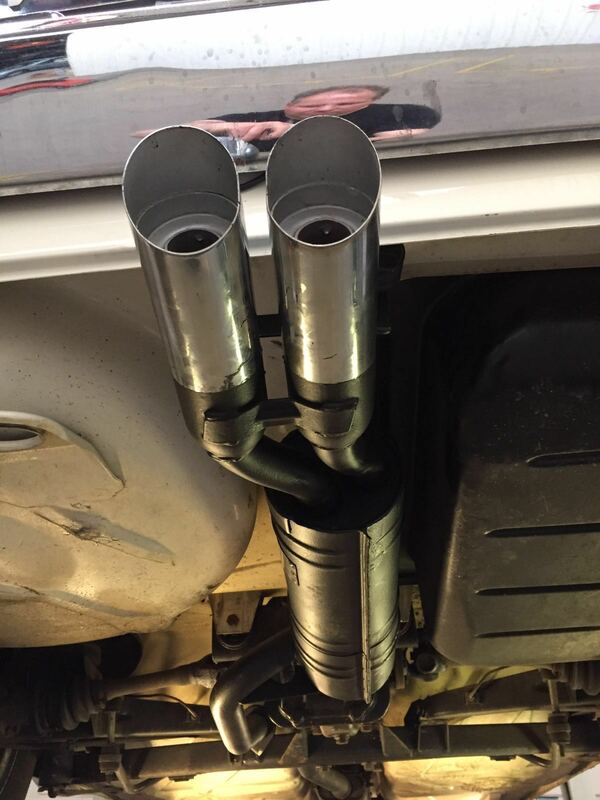 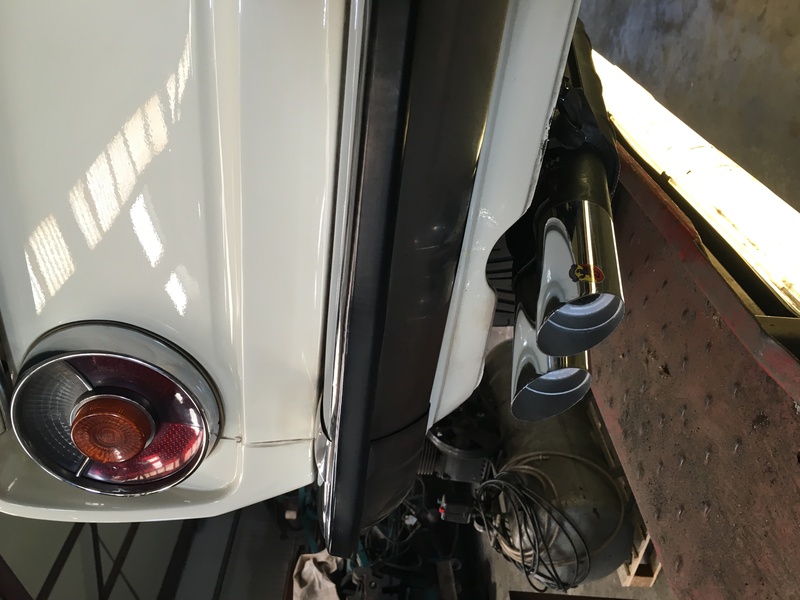 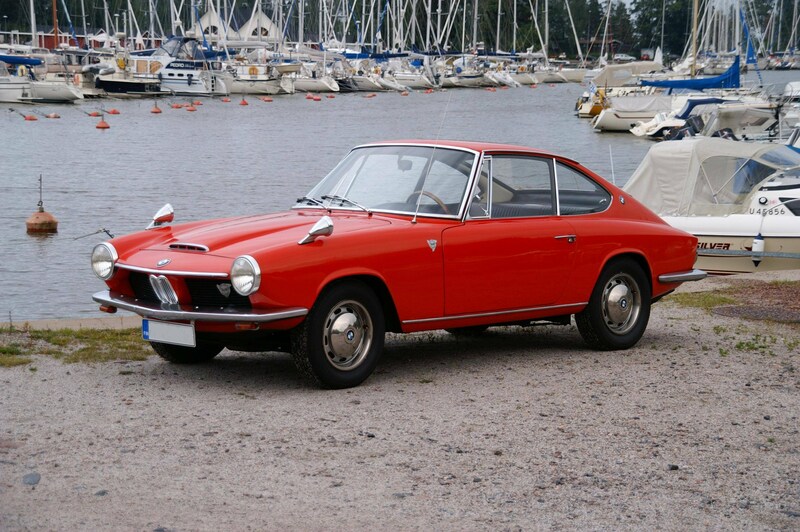 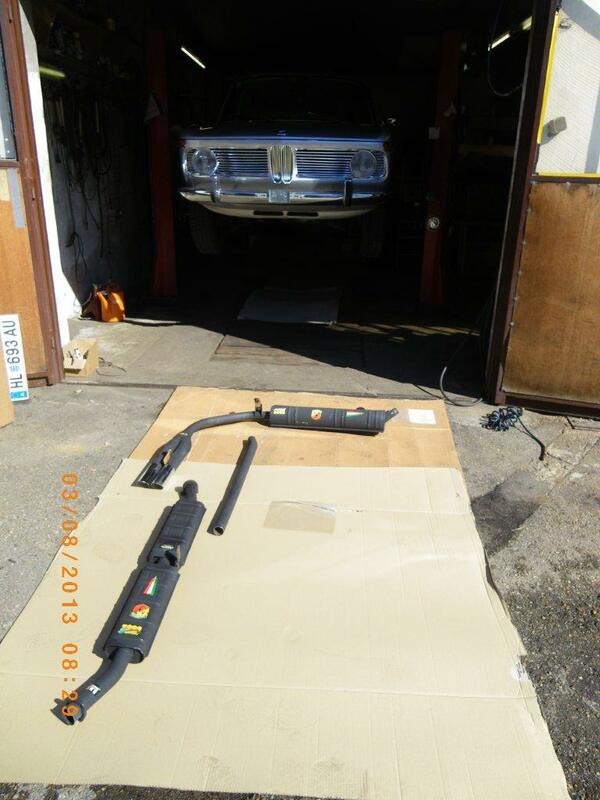 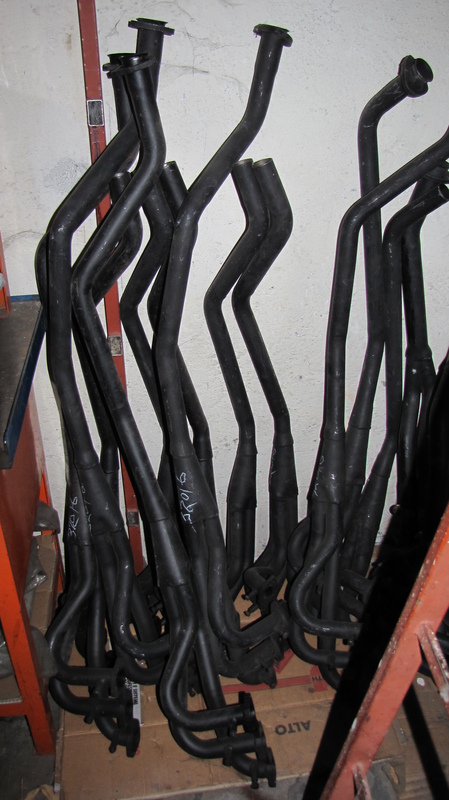 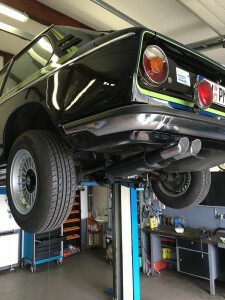 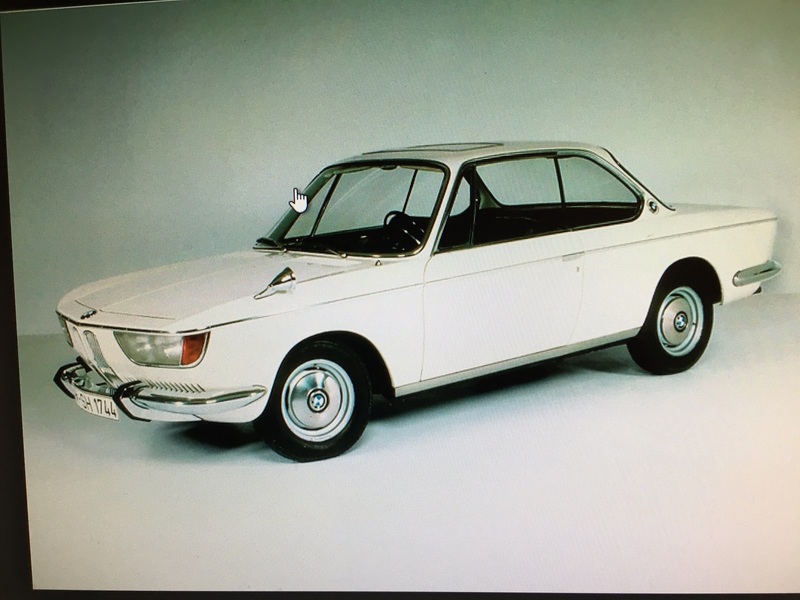 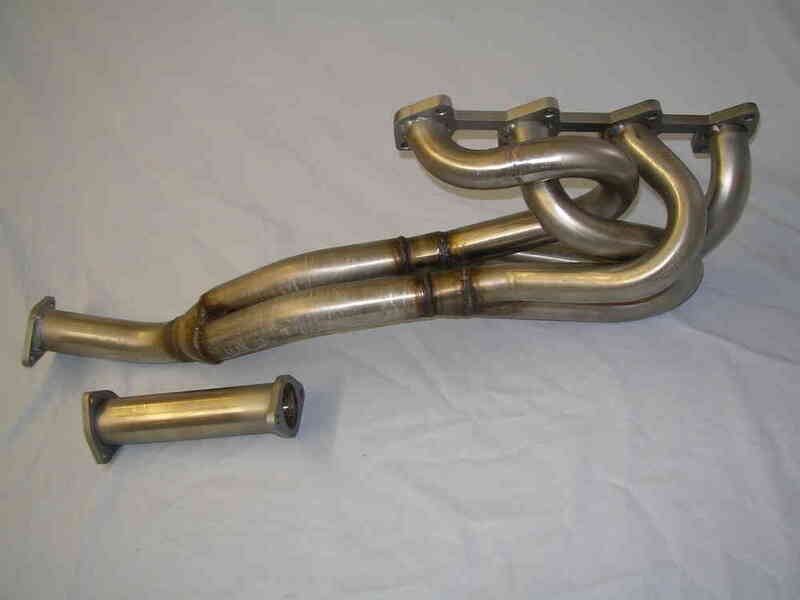 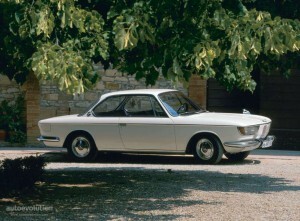 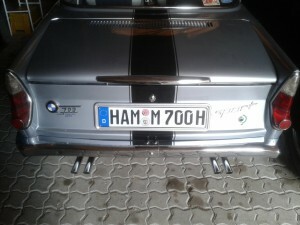 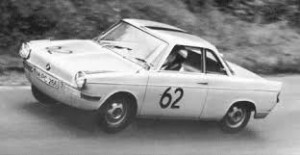 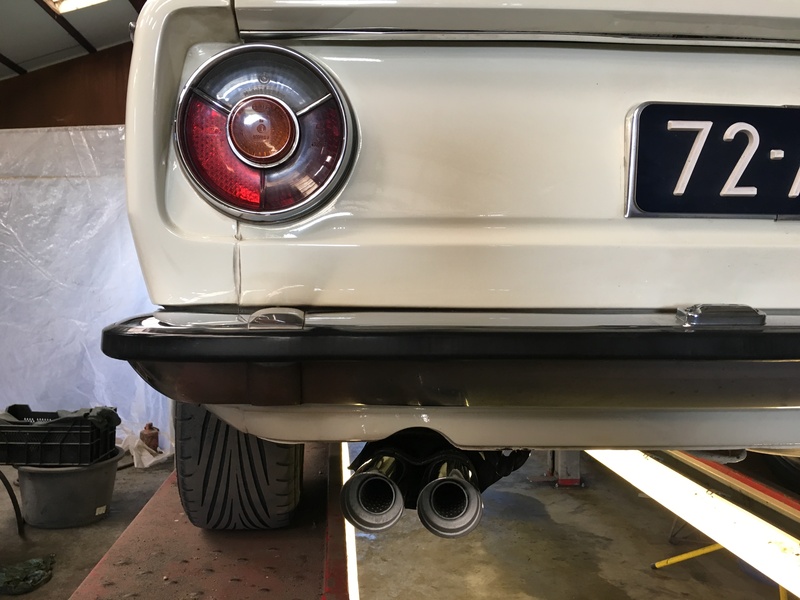 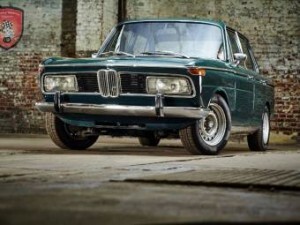 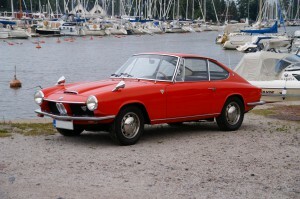 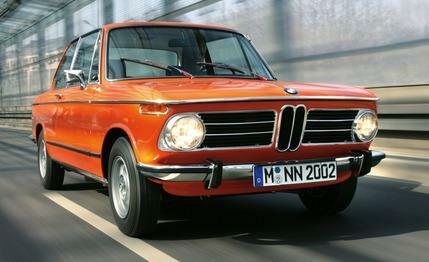 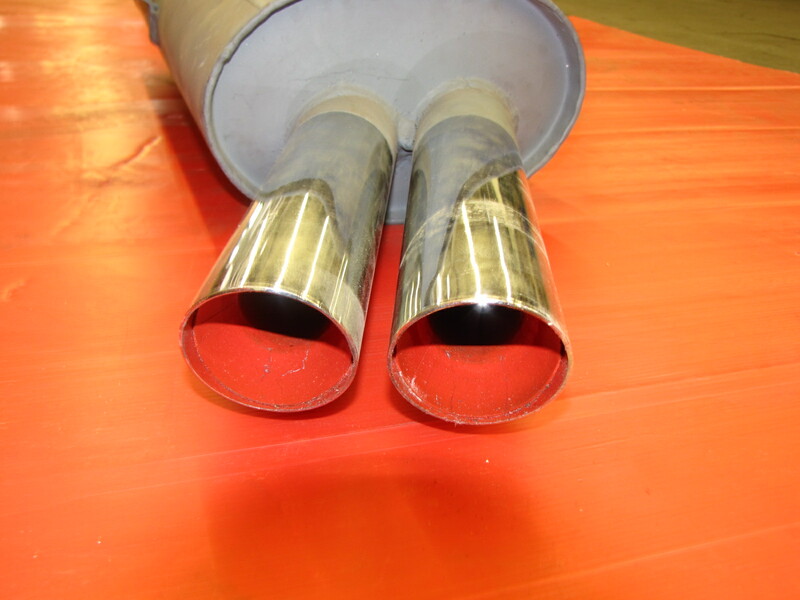 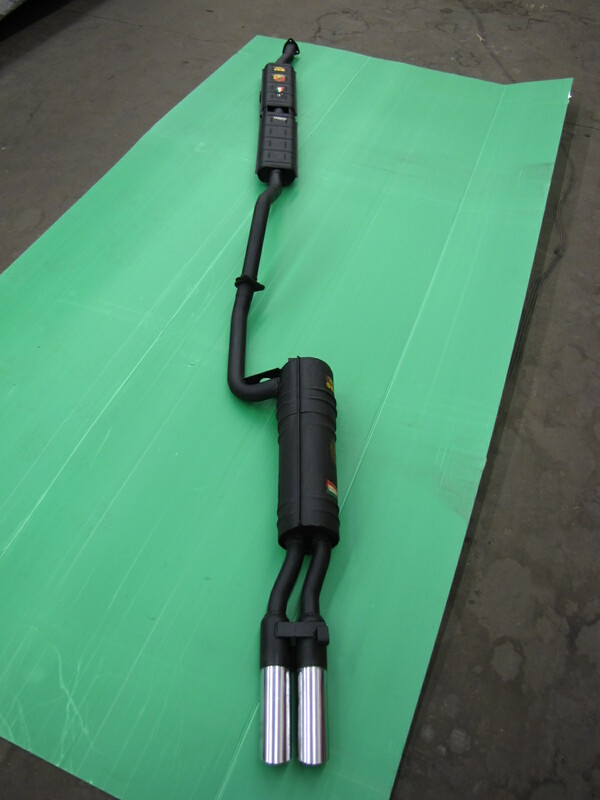 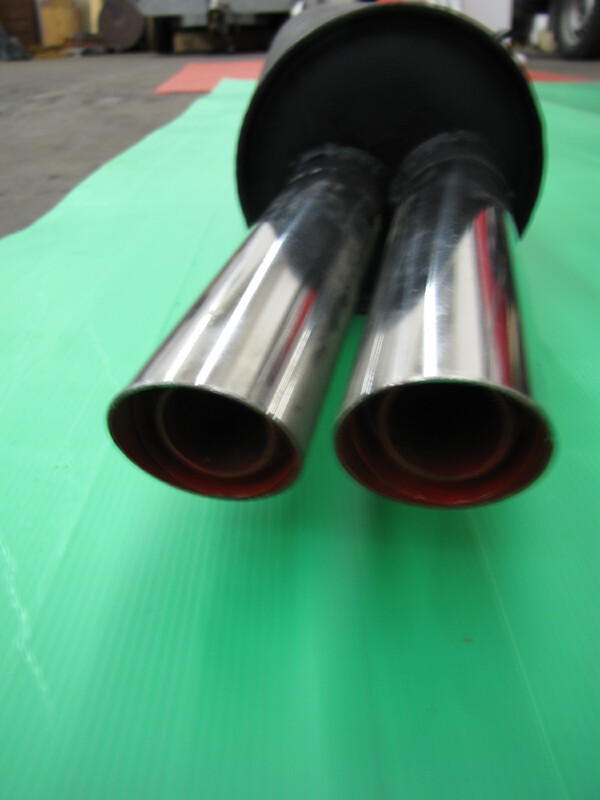 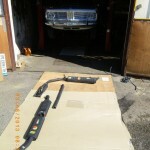 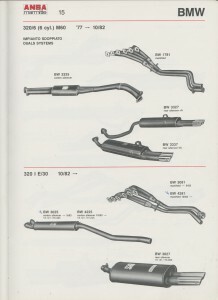 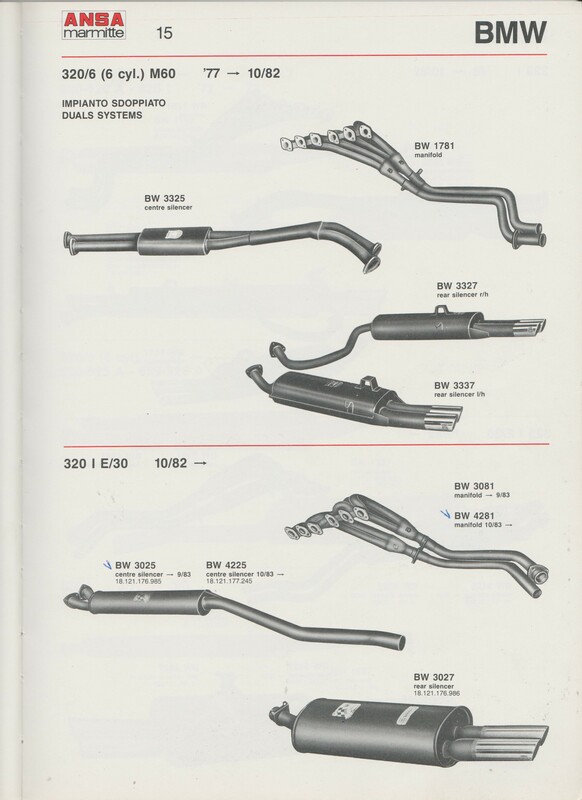 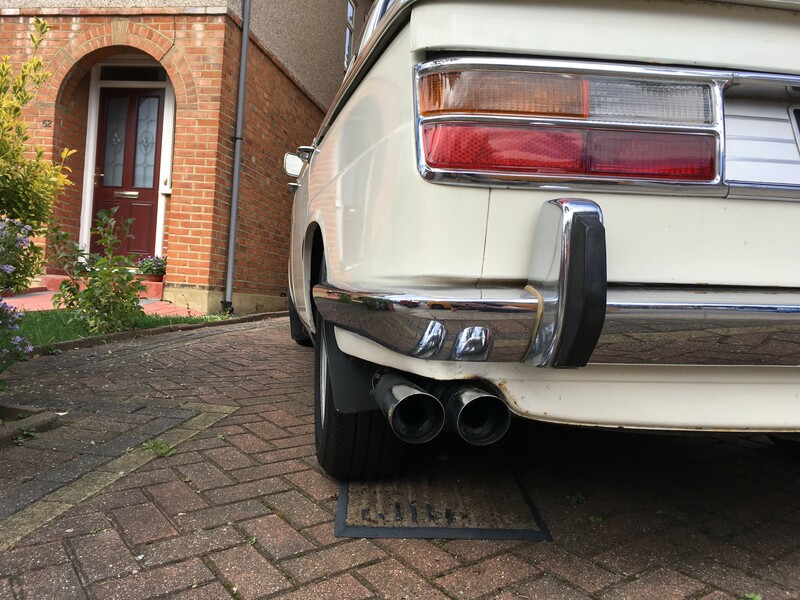 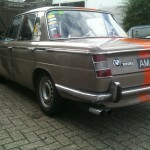 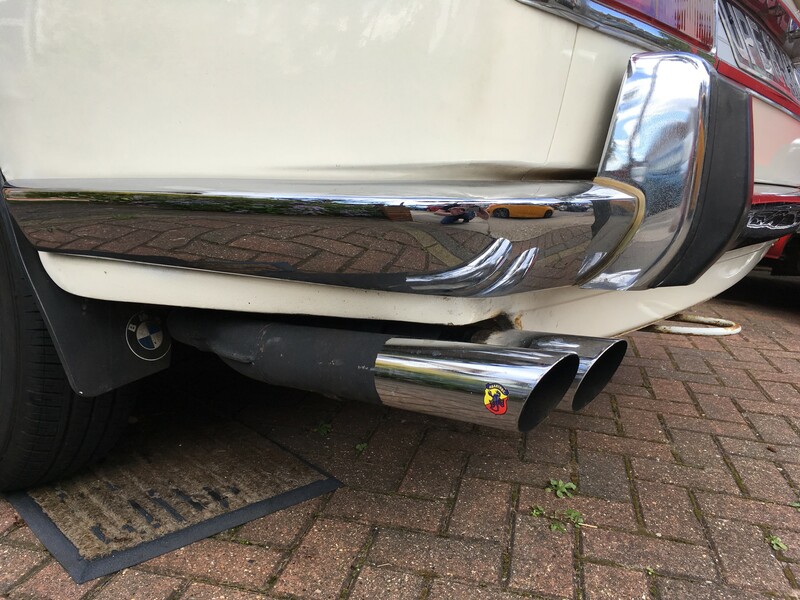 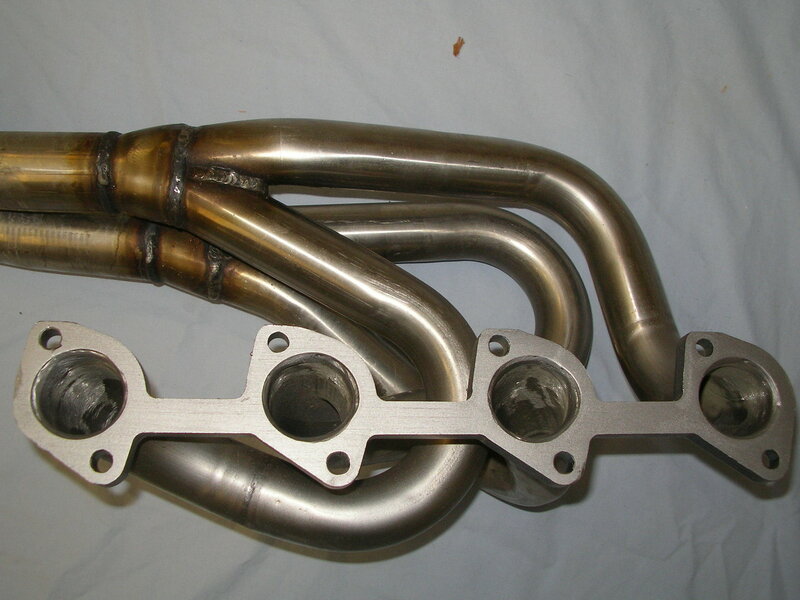 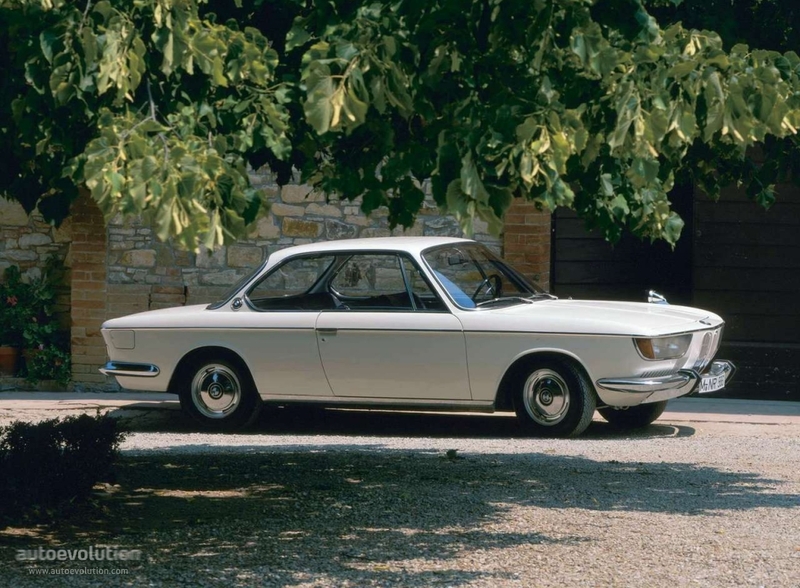 We are now working on a complete BMW 700 exhaust set including silencers and manifolds. 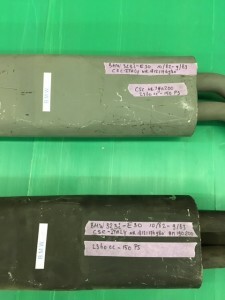 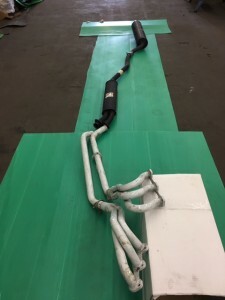 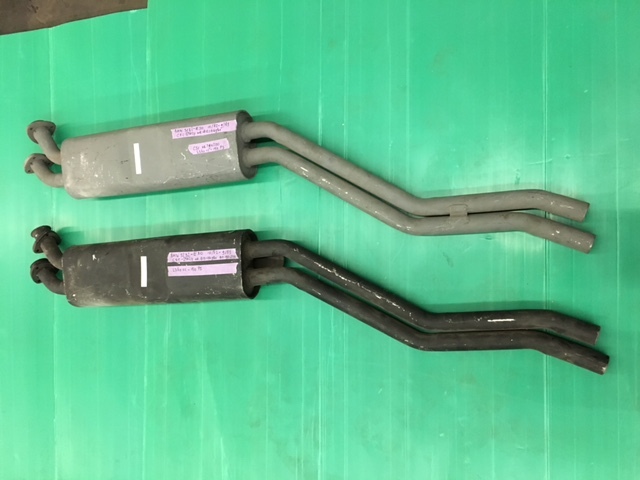 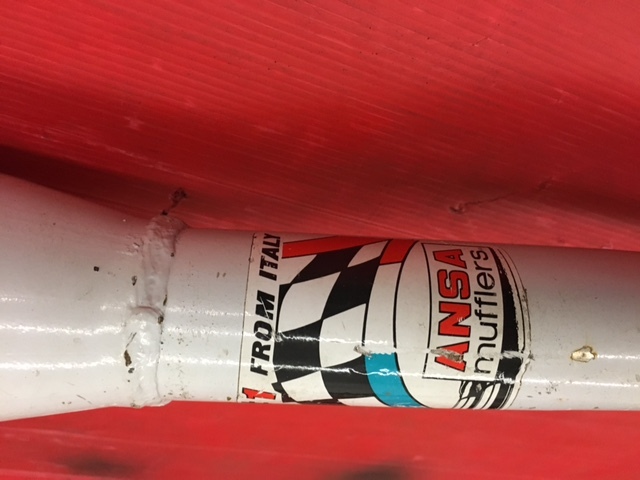 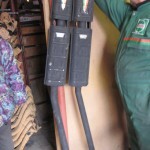 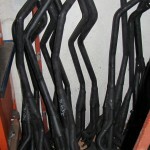 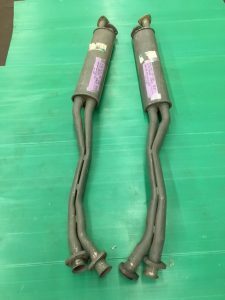 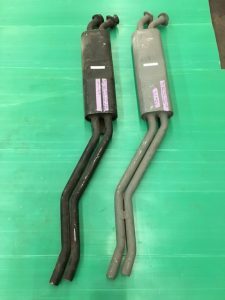 Now also available : one ANSA steel spaghetti manifold(NOS), Ansa nr. 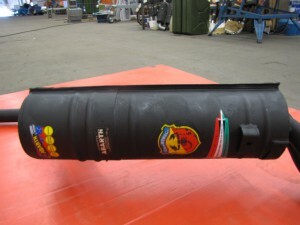 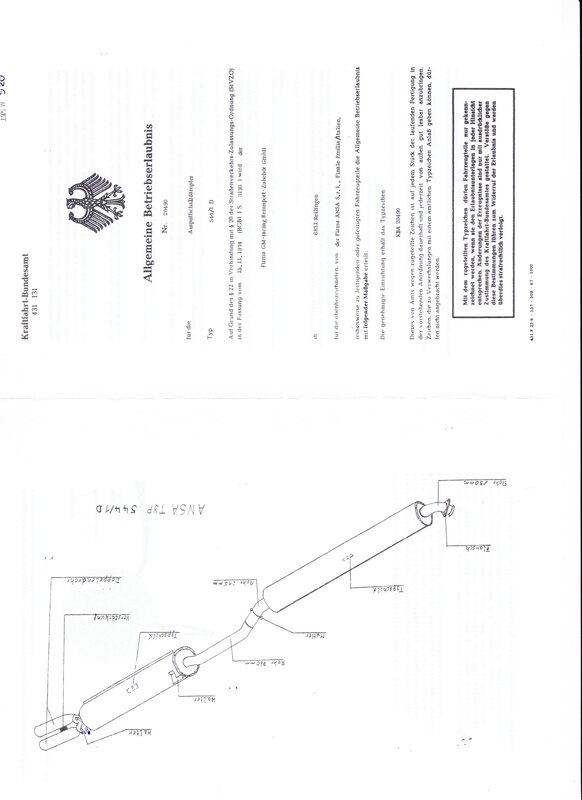 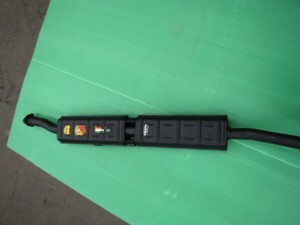 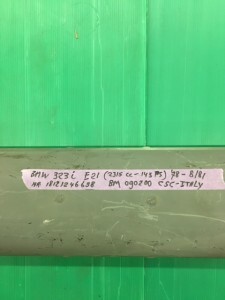 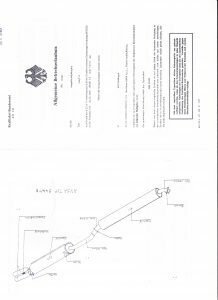 BW2981/BW0281, 35 mm width pipe, endpipe 50 mm, Price € 595,00 + shipping. 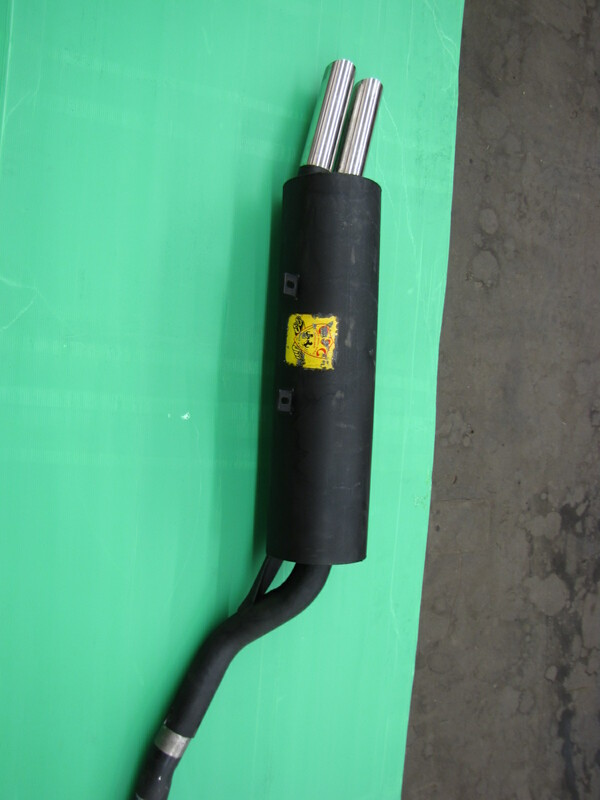 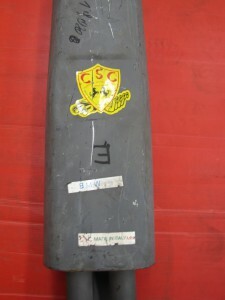 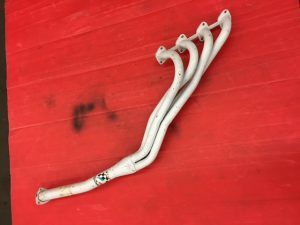 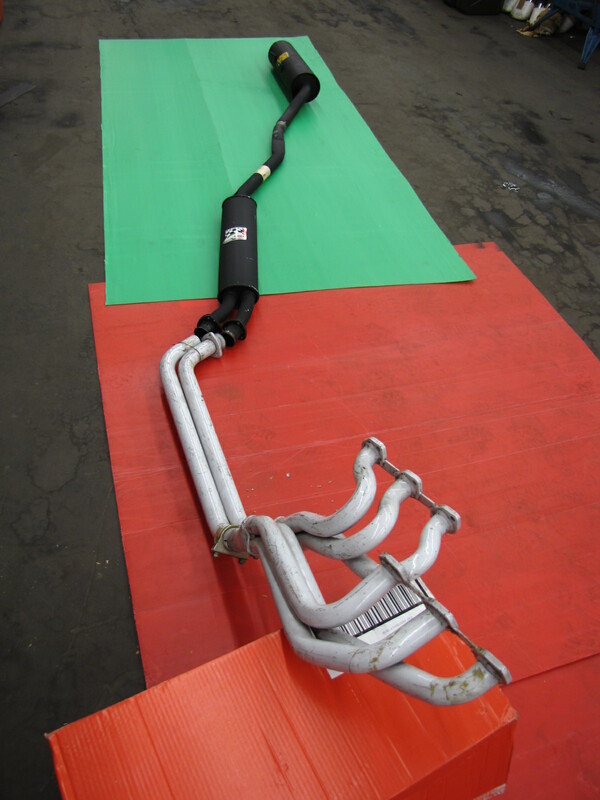 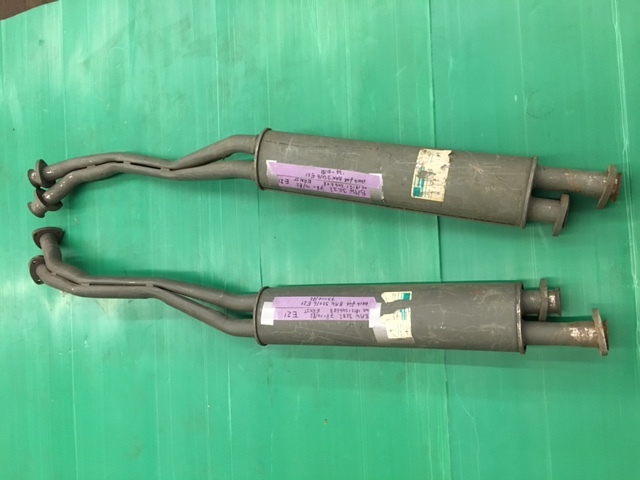 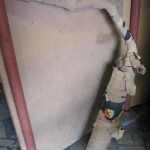 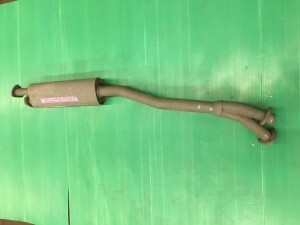 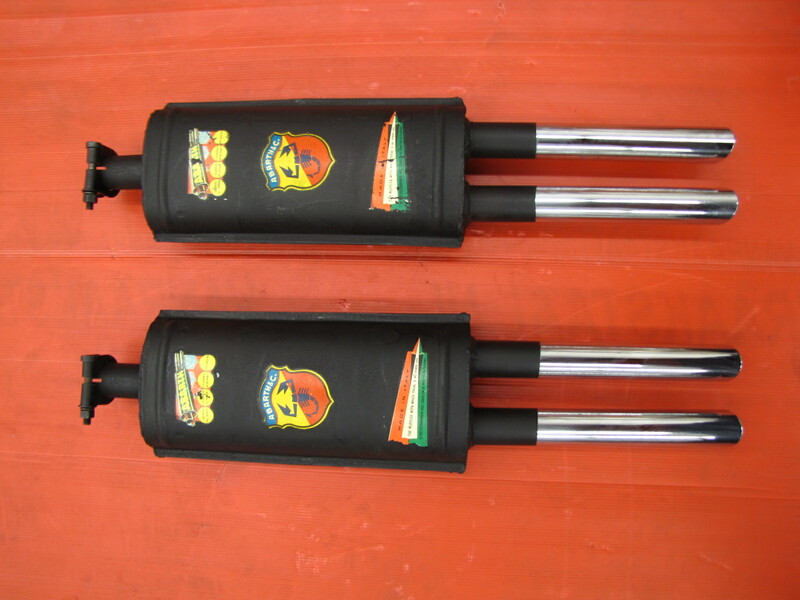 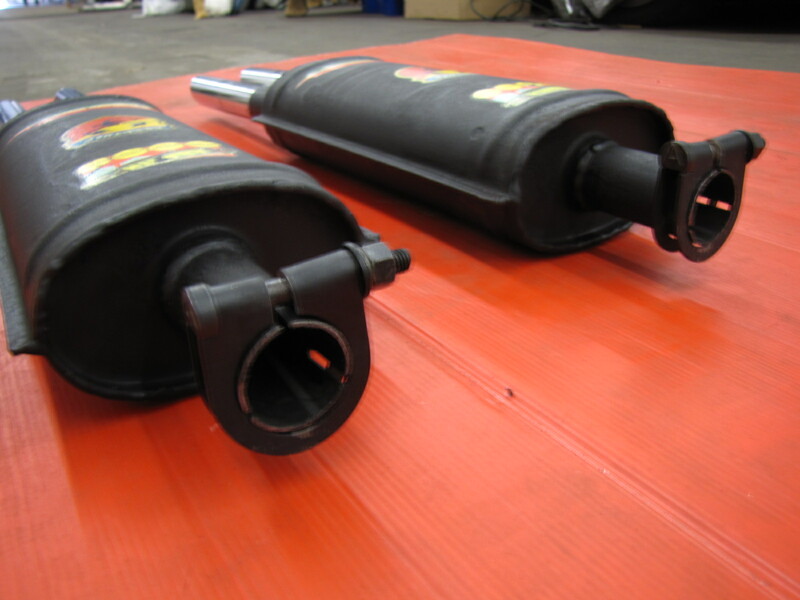 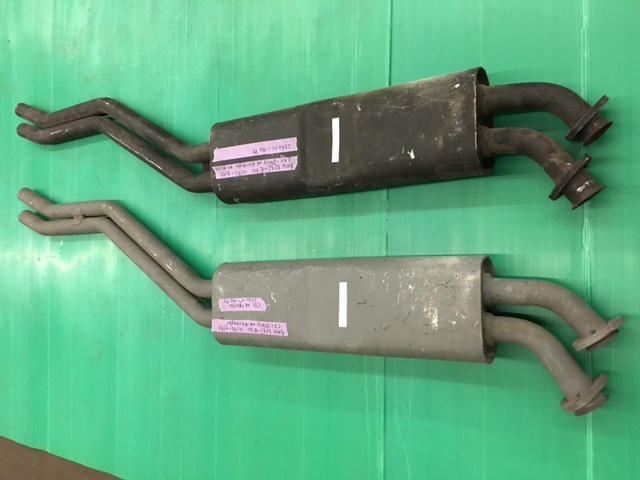 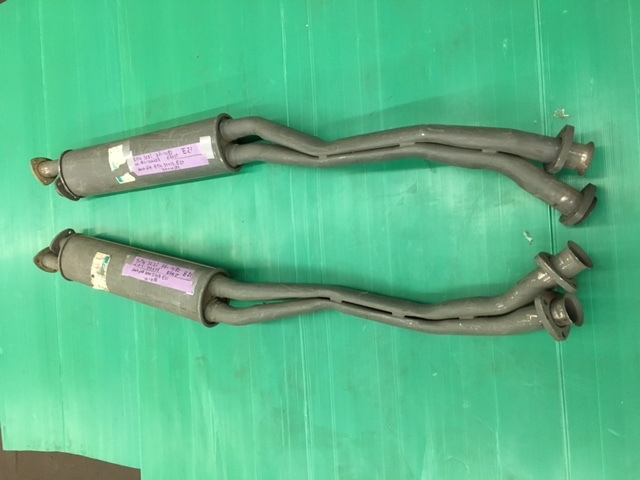 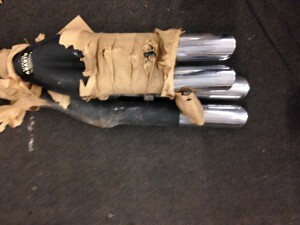 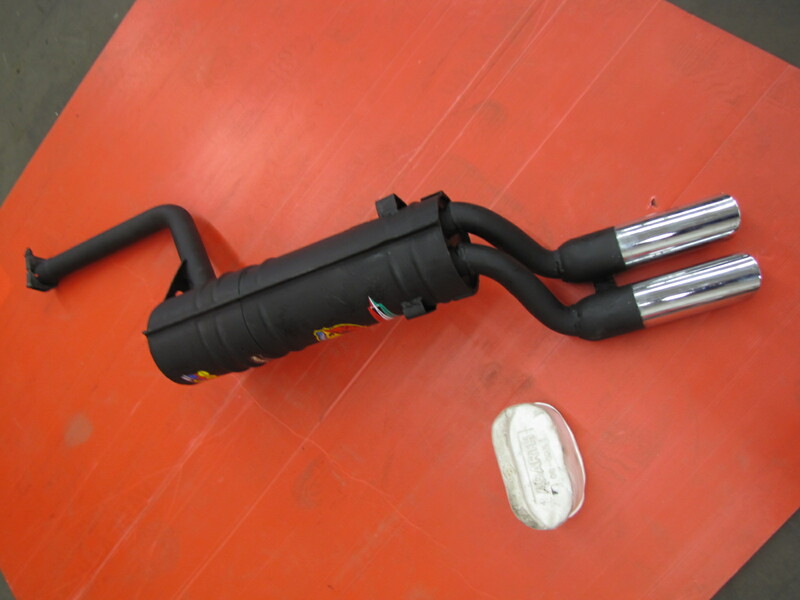 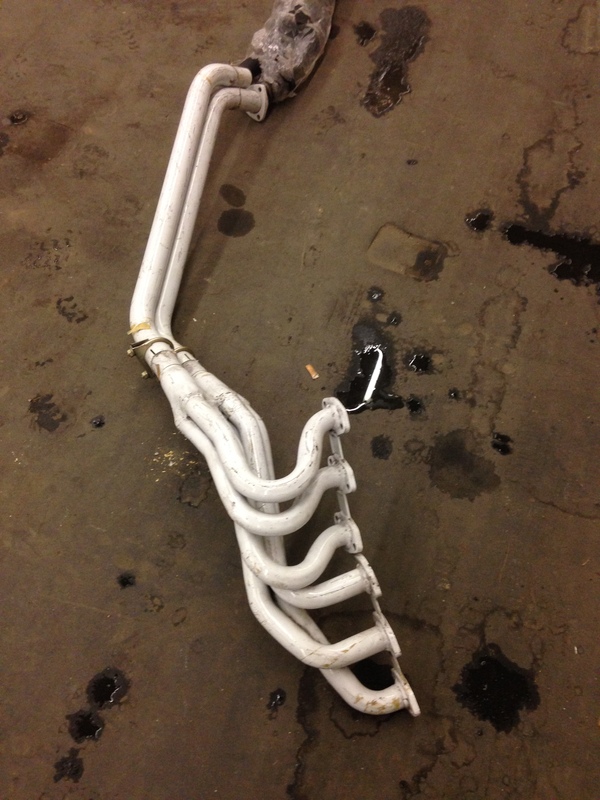 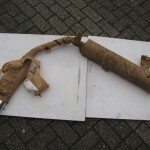 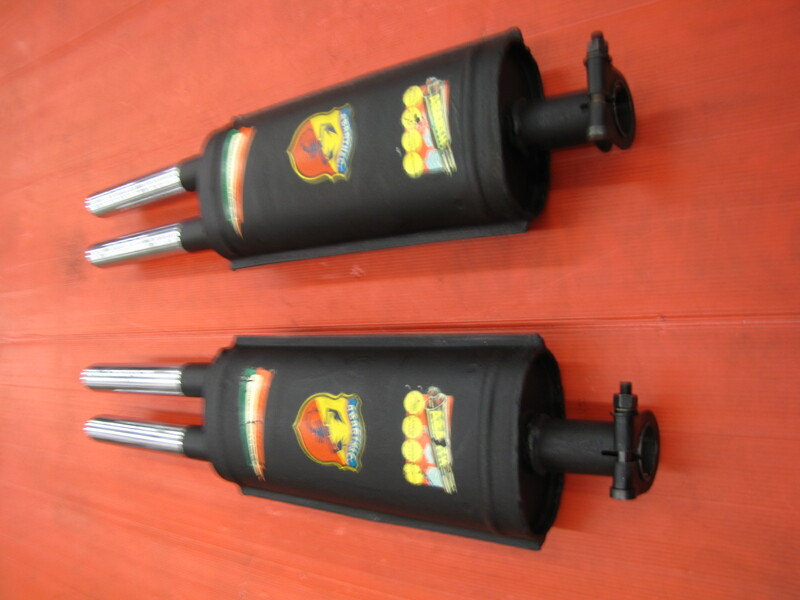 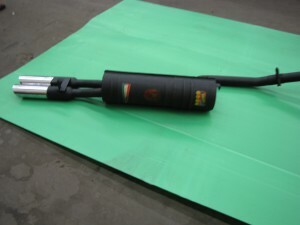 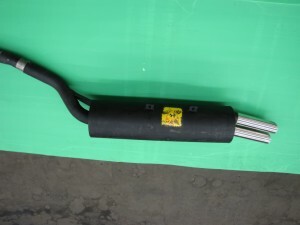 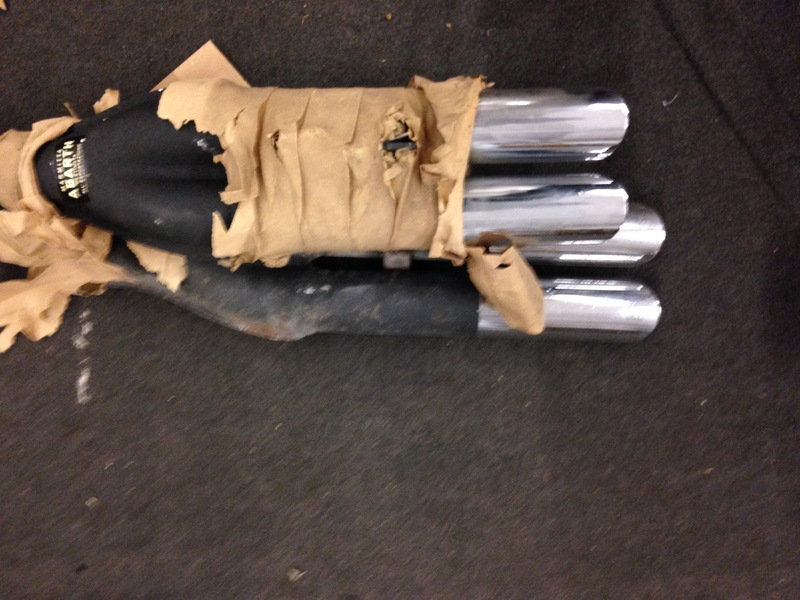 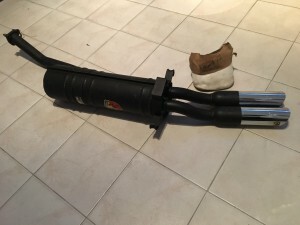 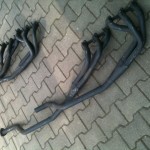 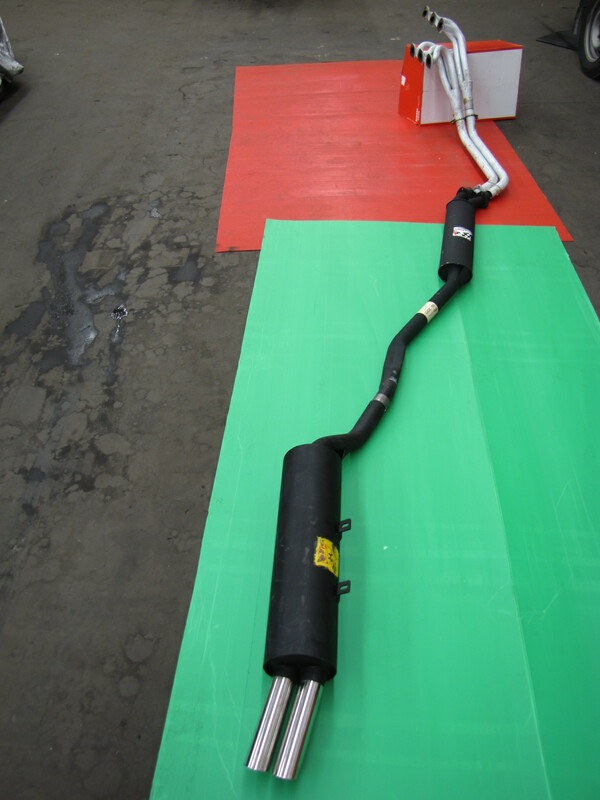 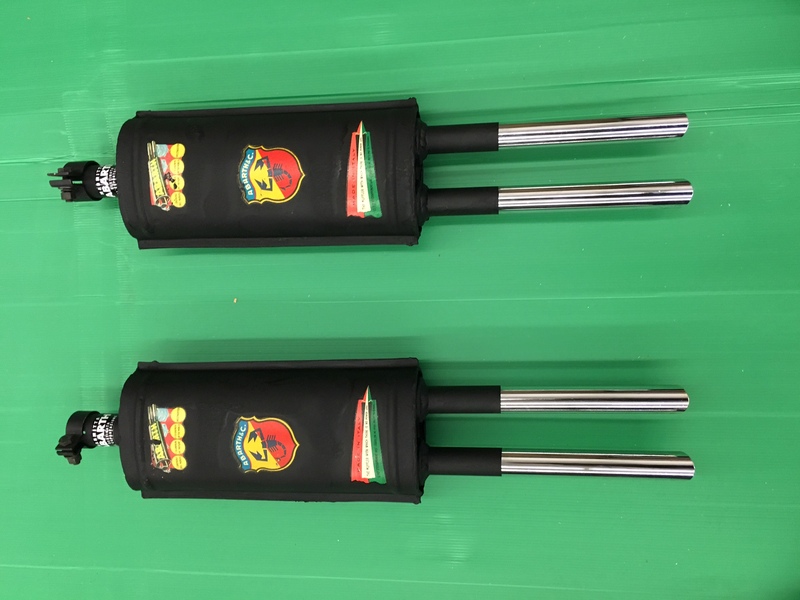 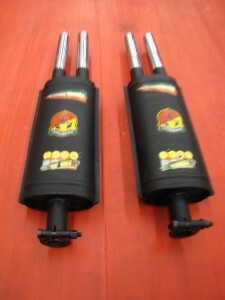 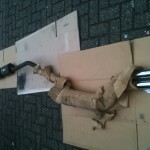 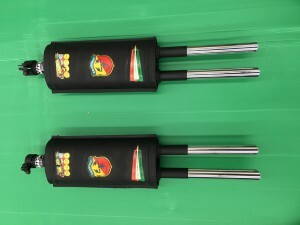 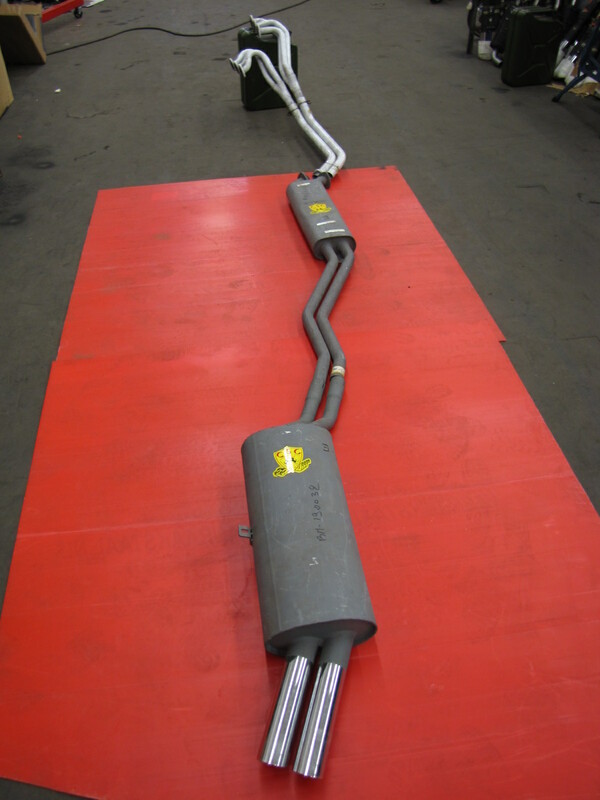 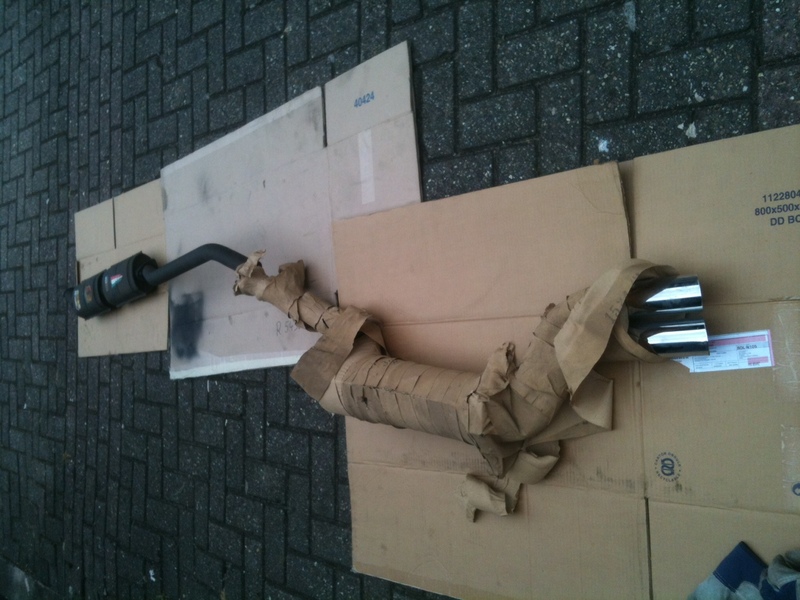 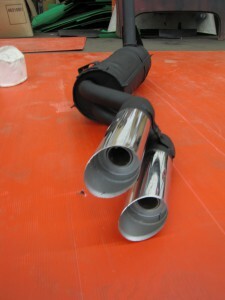 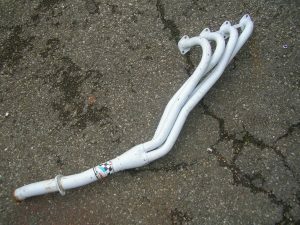 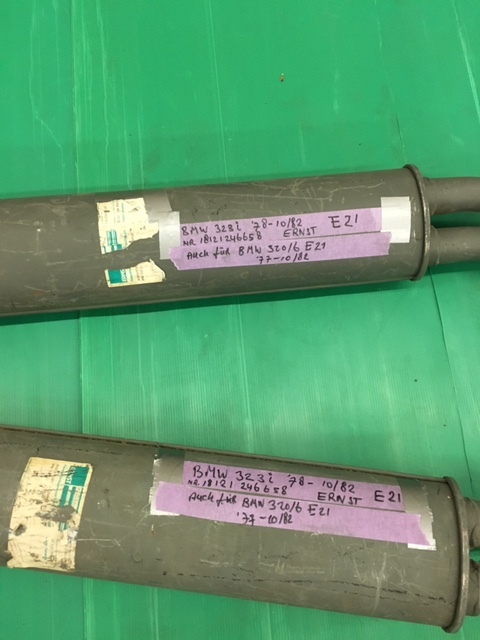 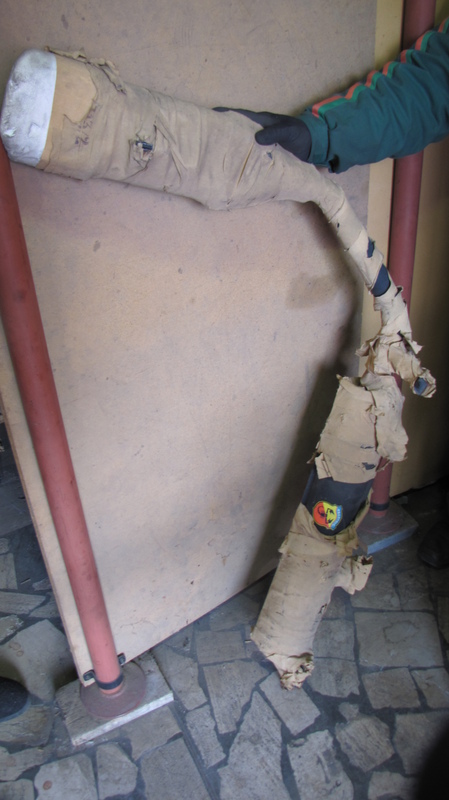 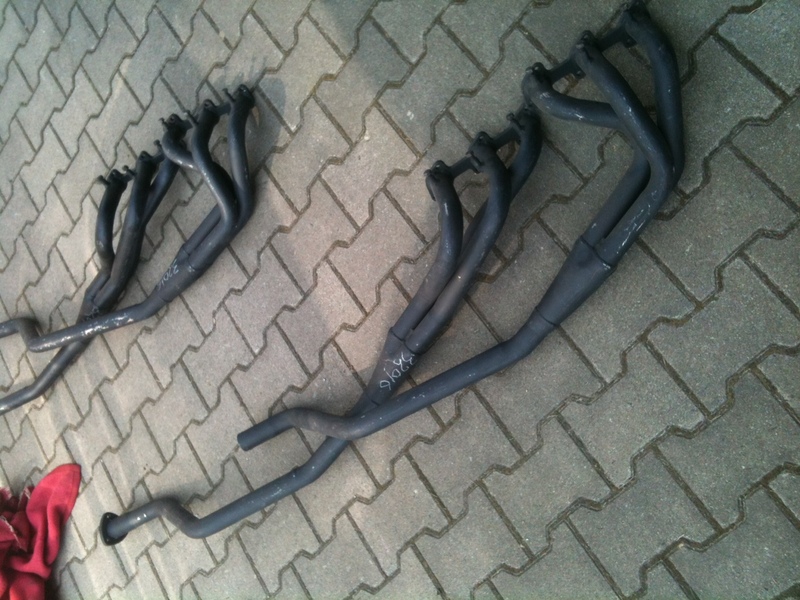 Only Abarth endmuffler also for sale, incl. 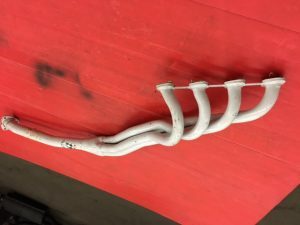 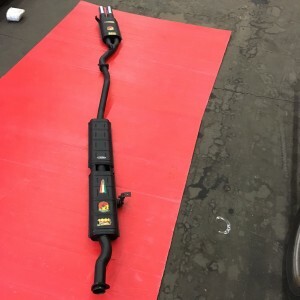 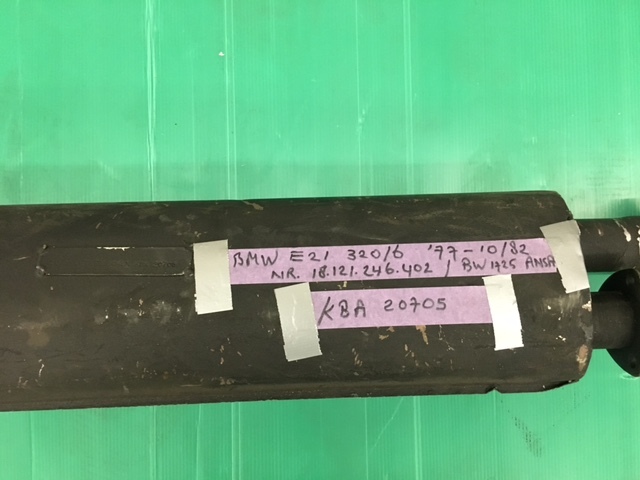 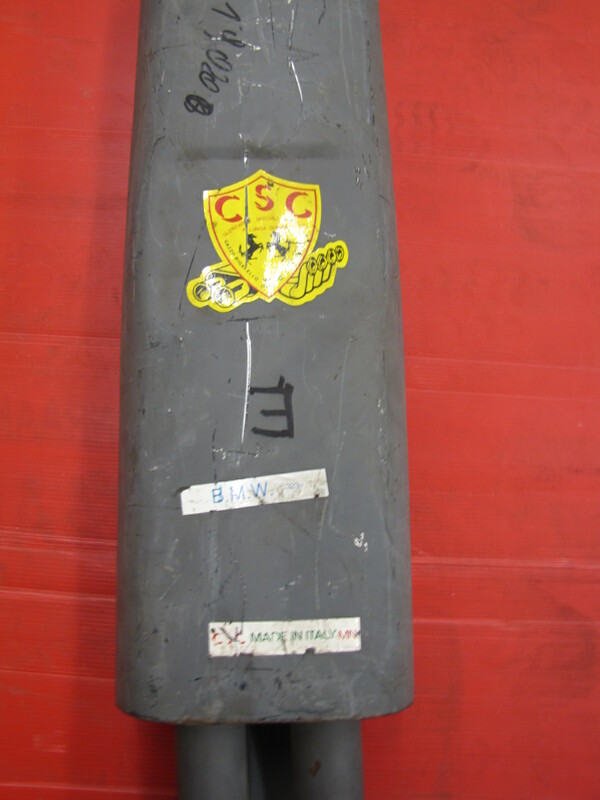 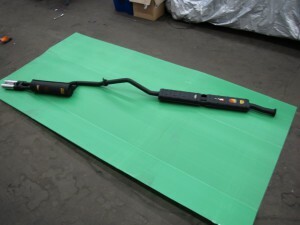 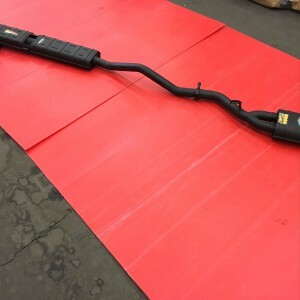 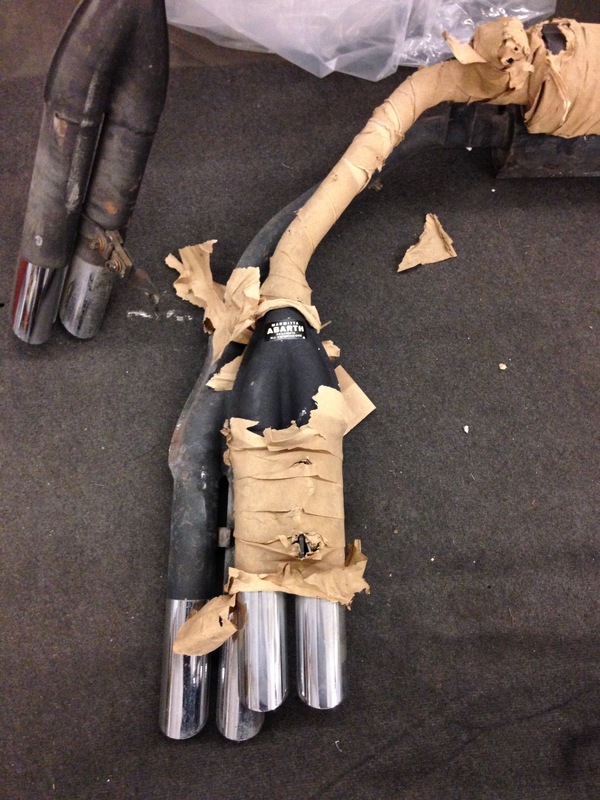 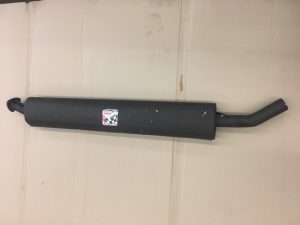 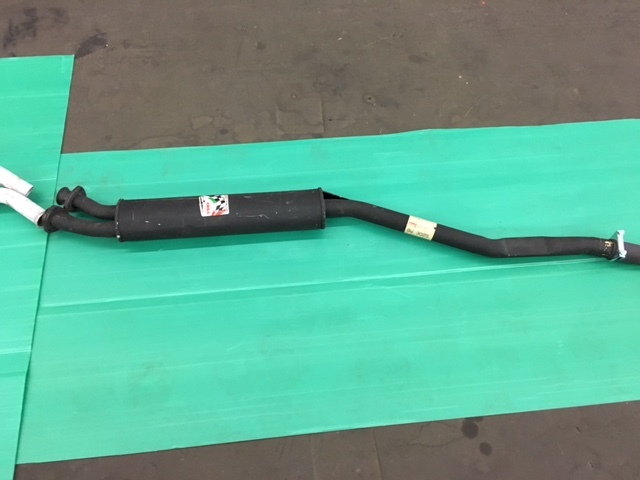 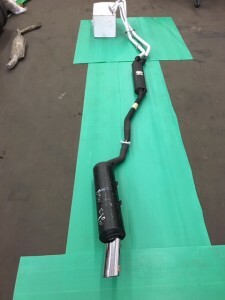 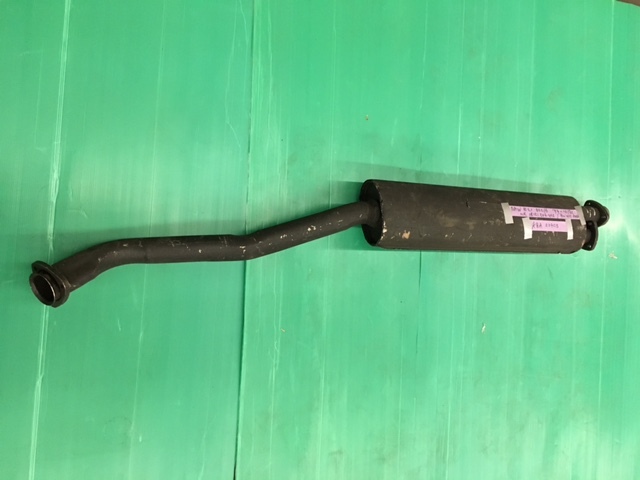 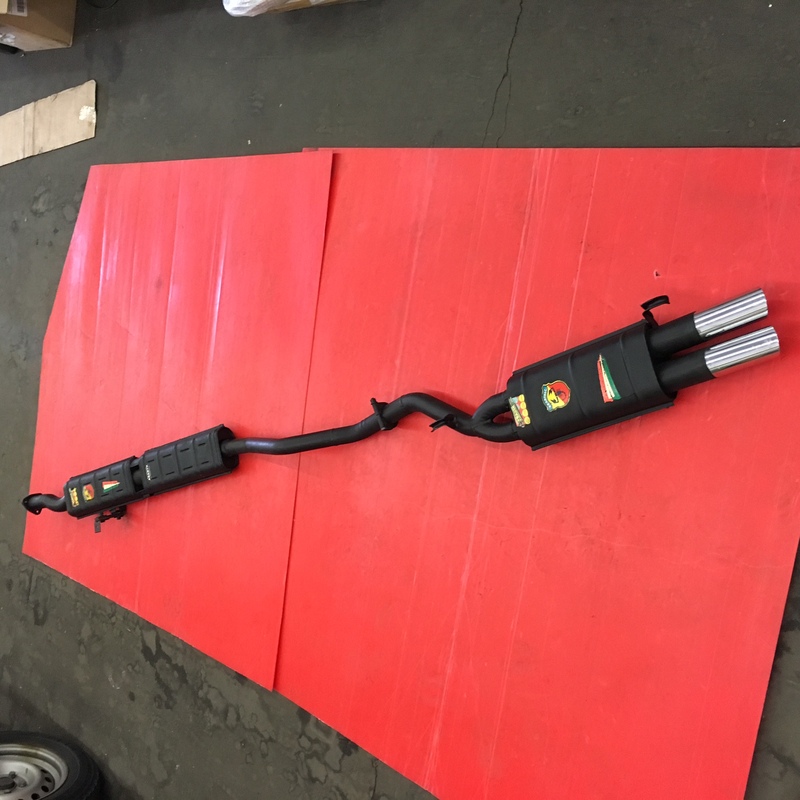 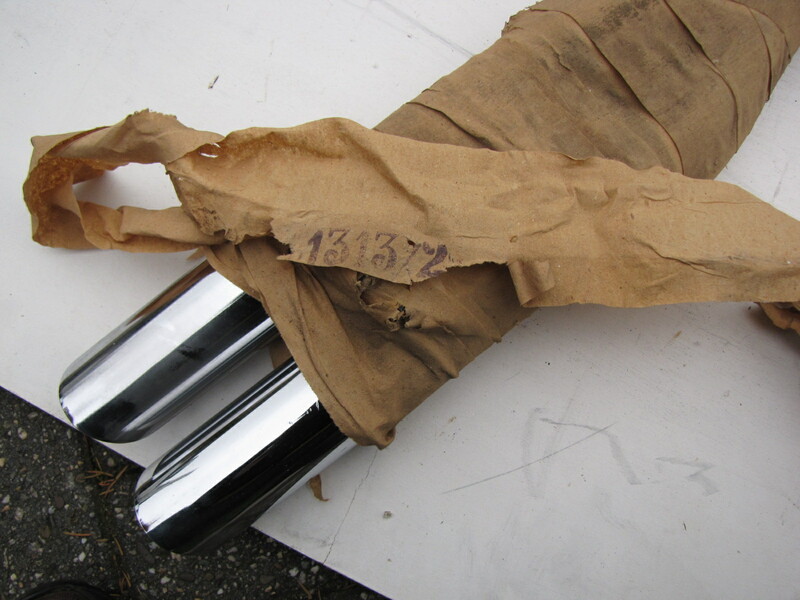 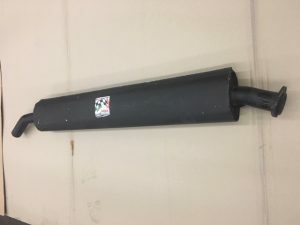 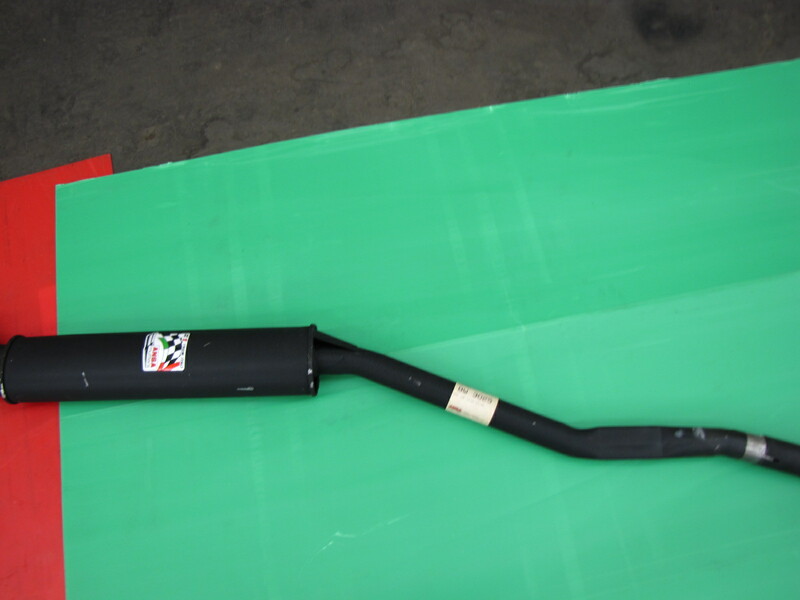 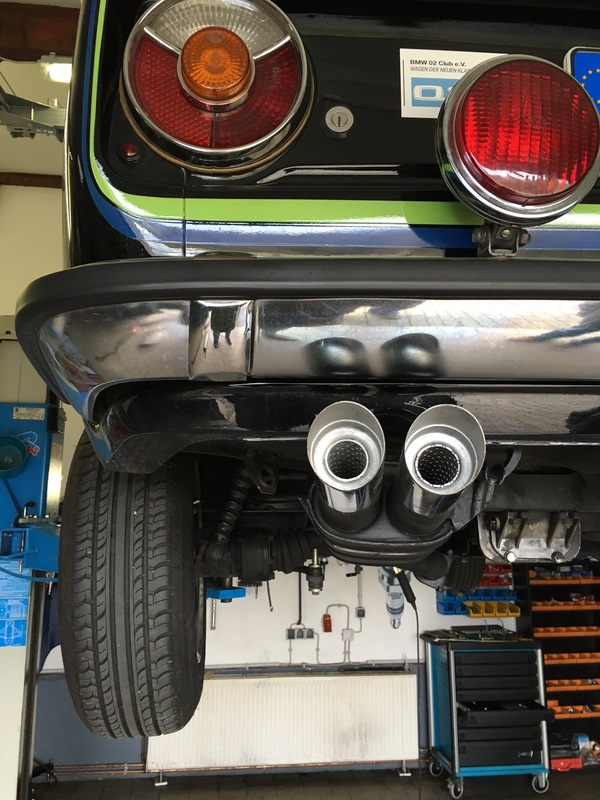 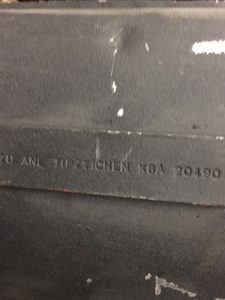 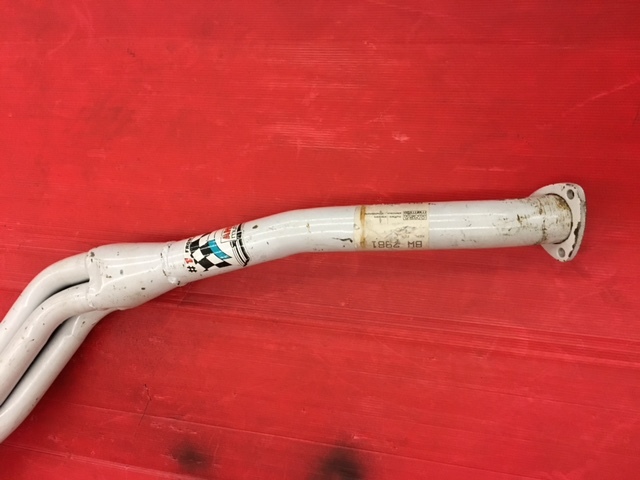 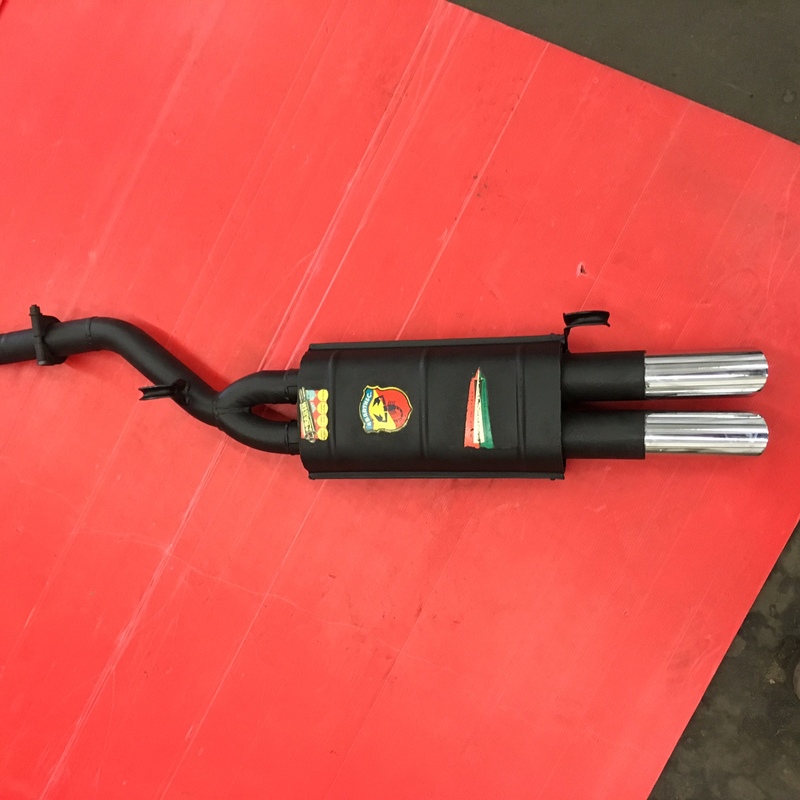 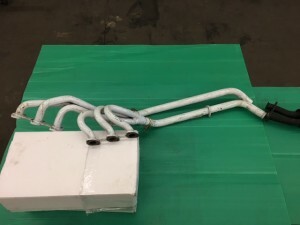 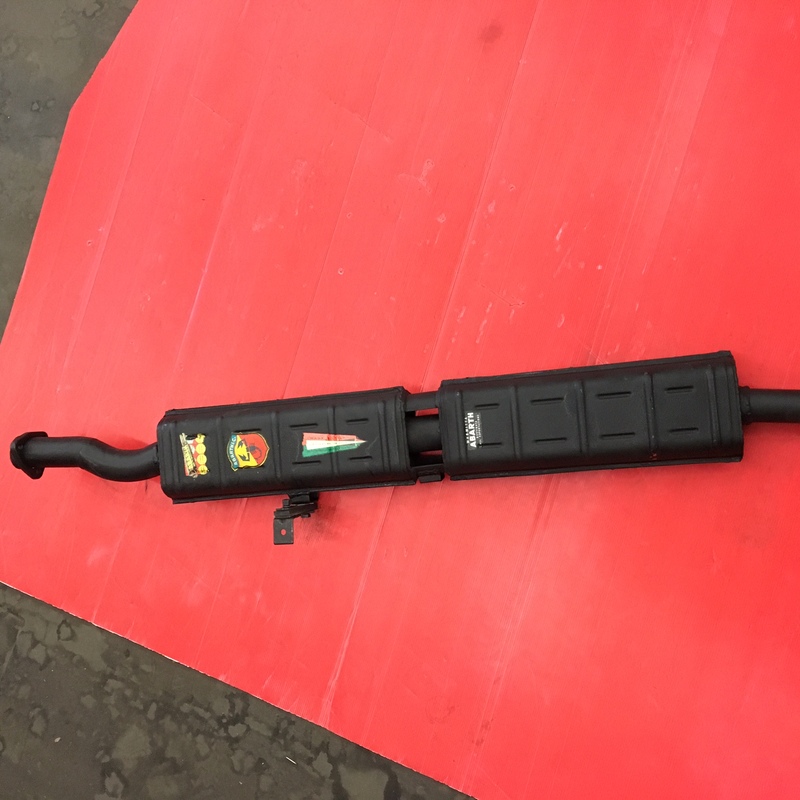 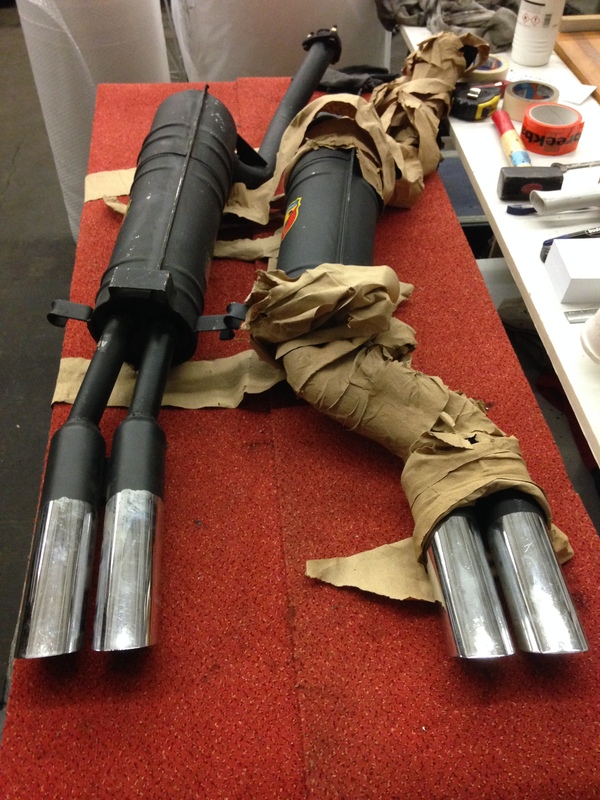 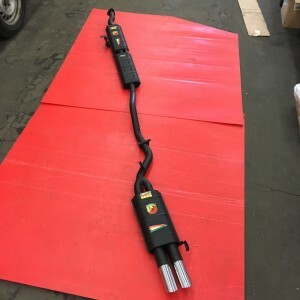 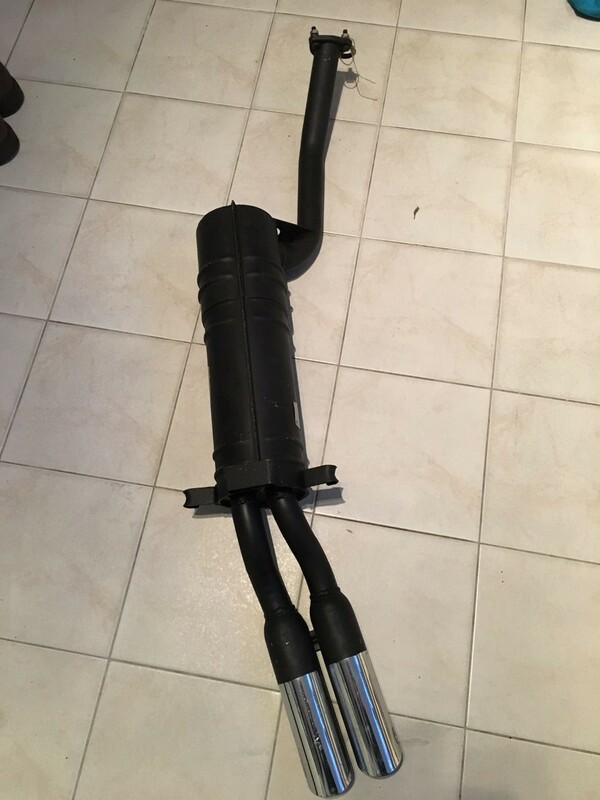 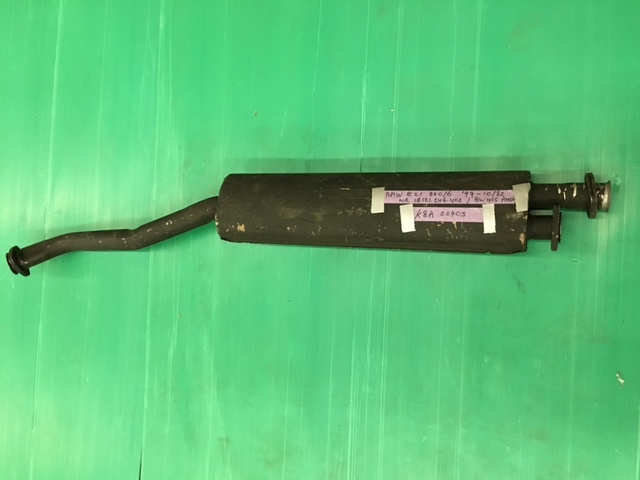 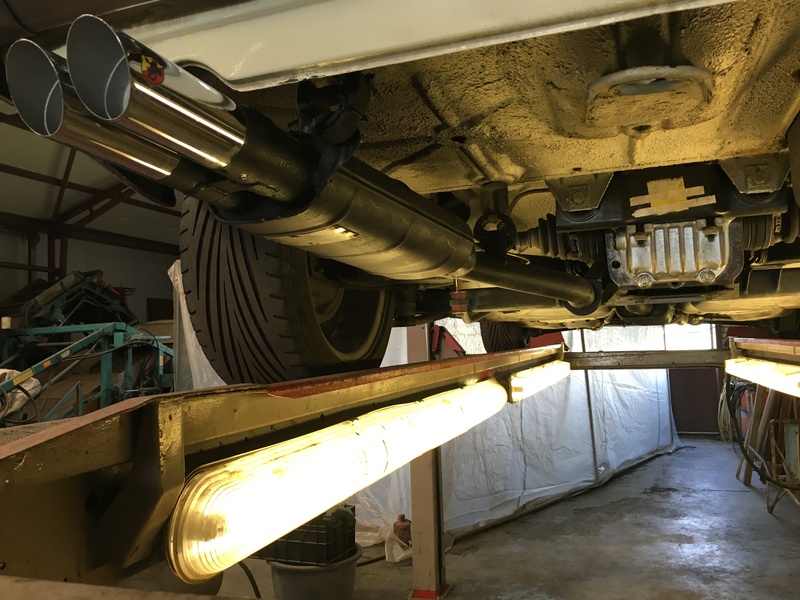 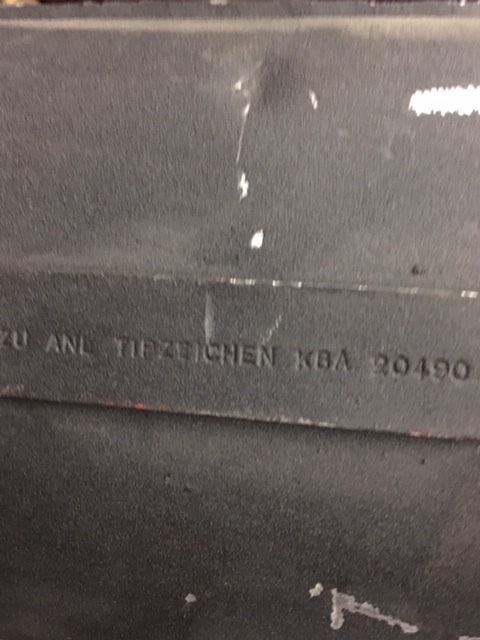 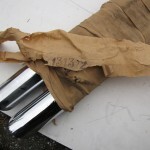 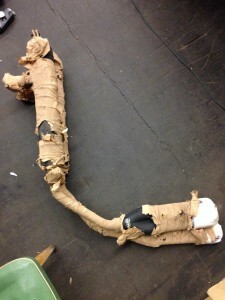 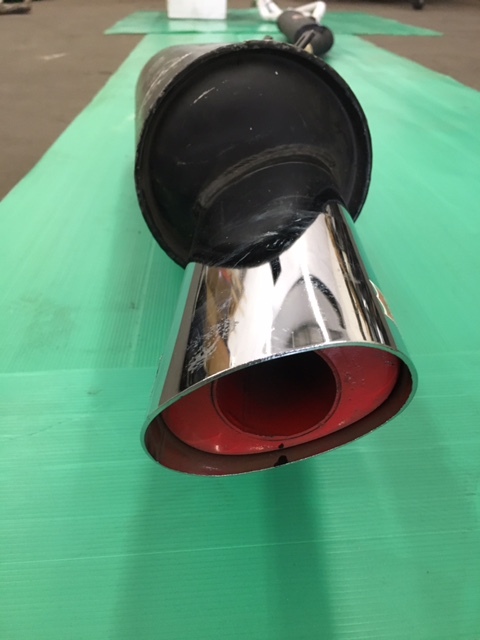 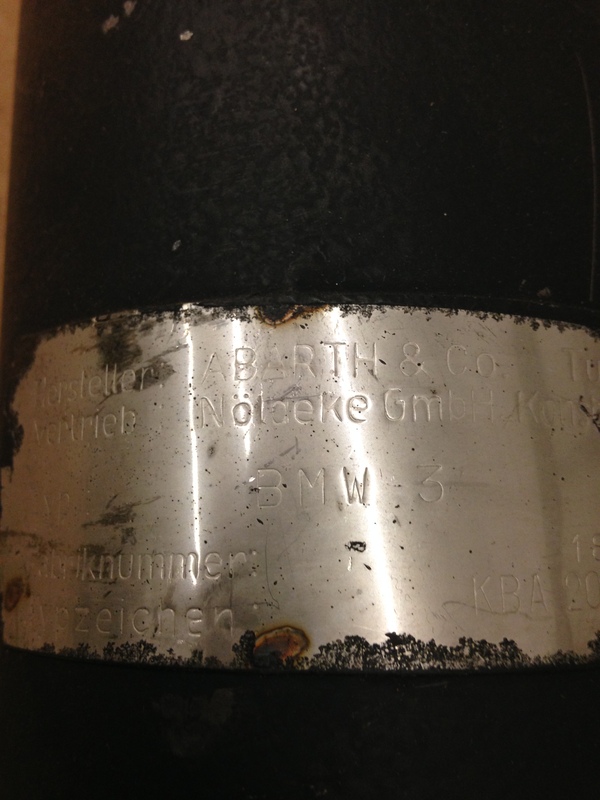 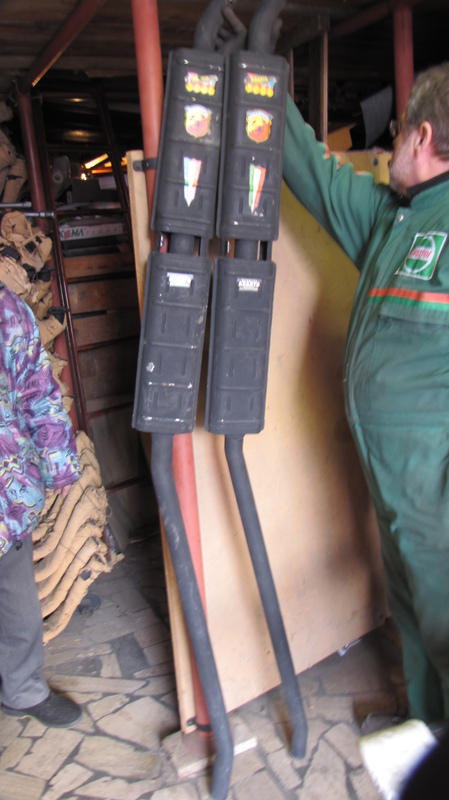 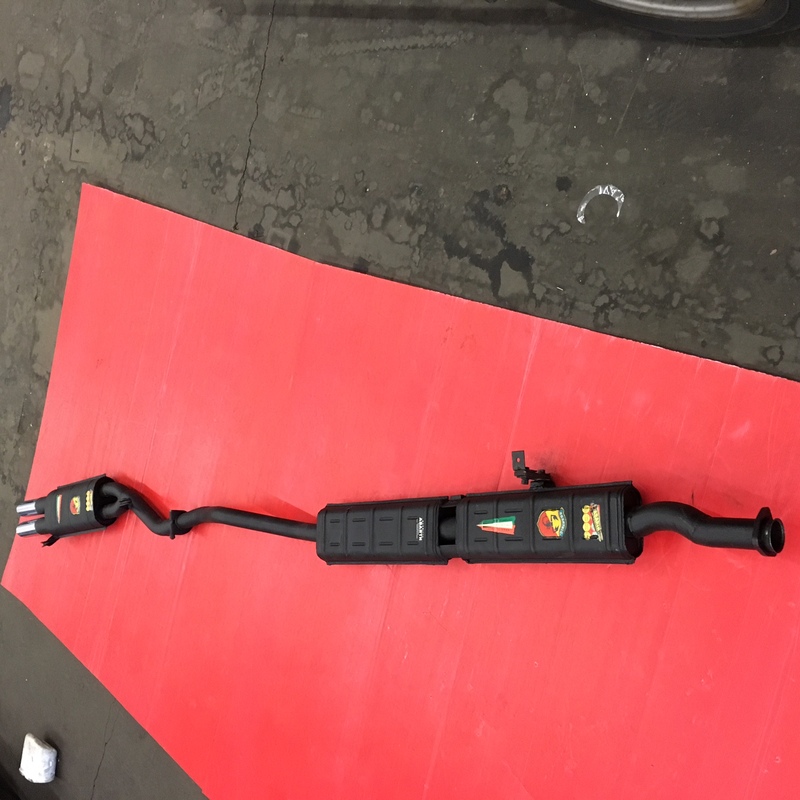 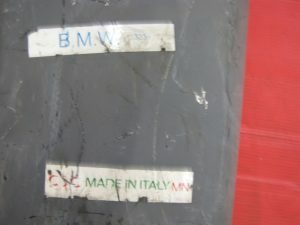 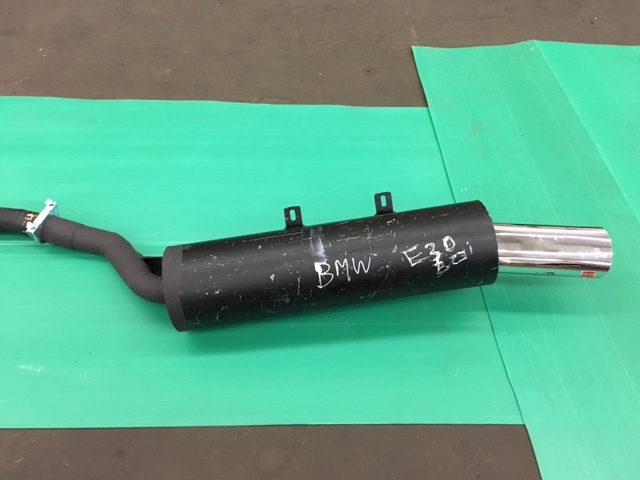 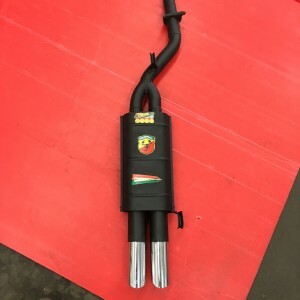 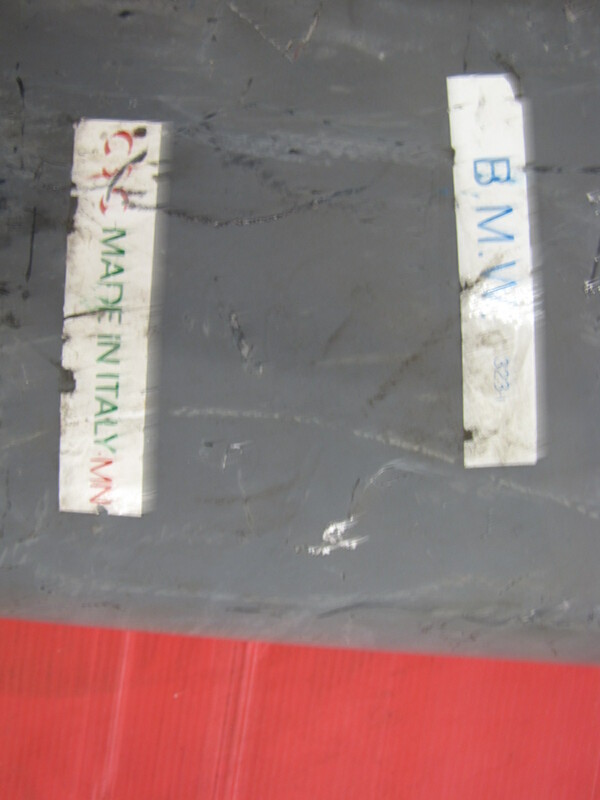 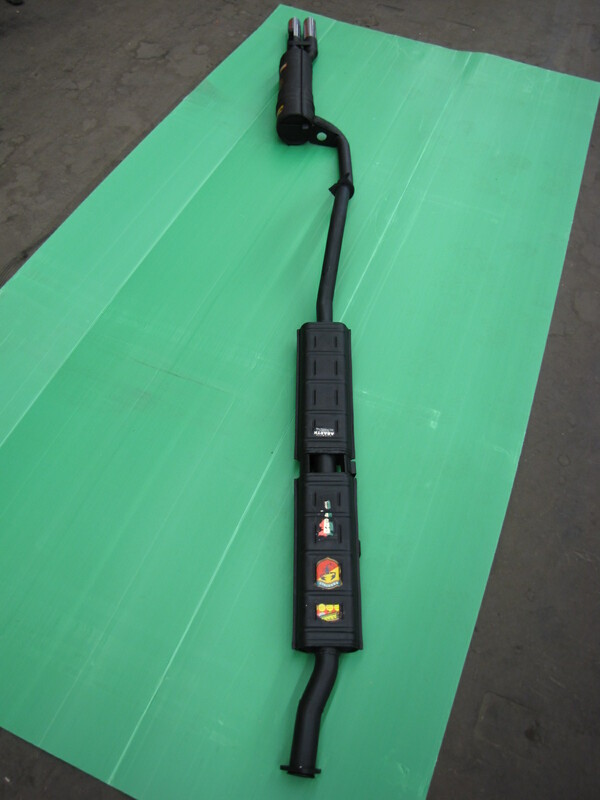 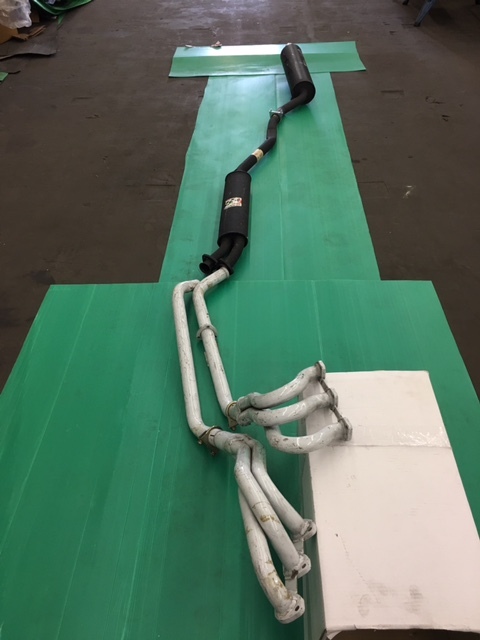 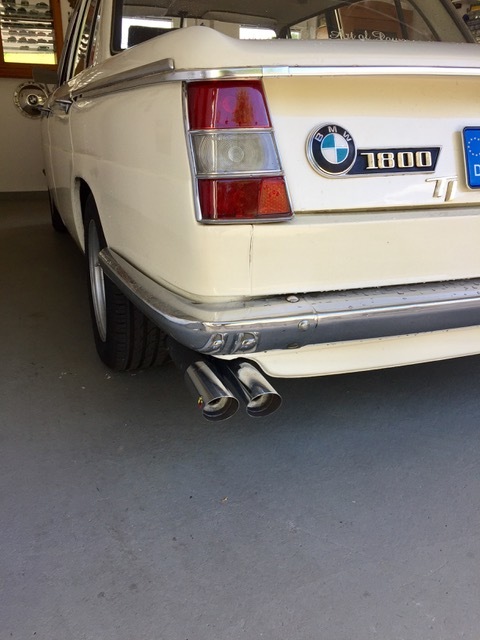 ABE Typenschild and ABE papers, this Abarth endmuffler will fit to the standard BMW Touring middlemuffler. 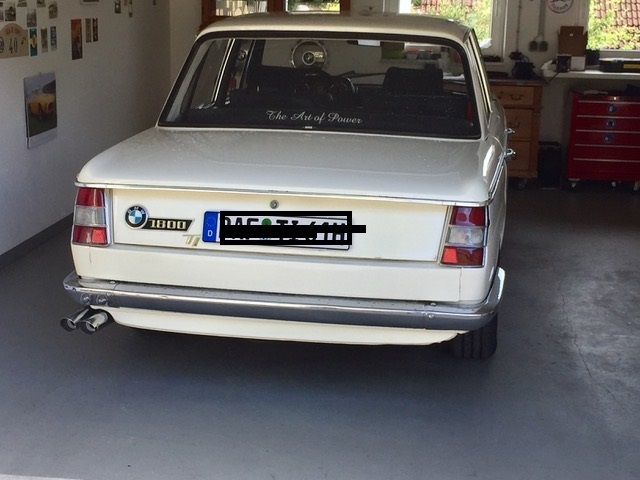 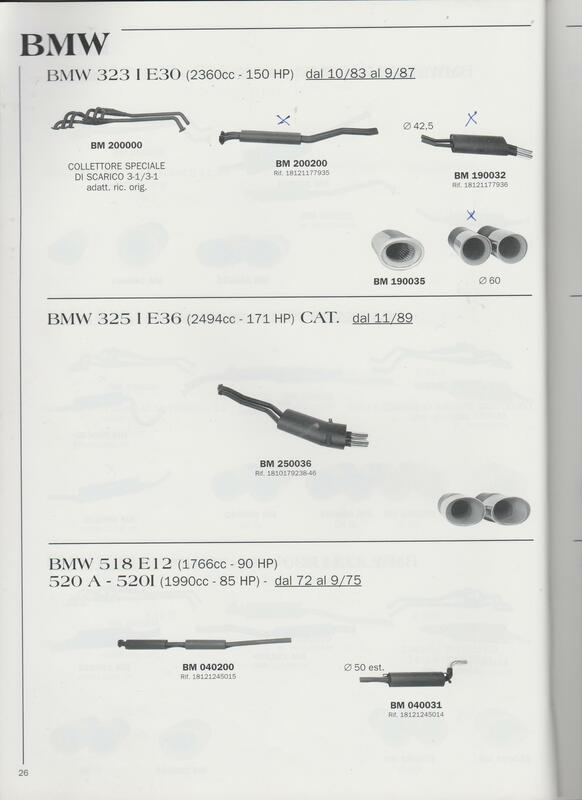 BMW 316-318-320 4 cilinders E21 Abarth Nr. 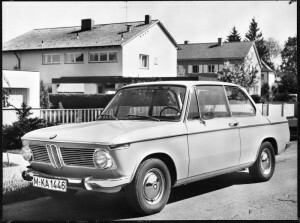 1524. 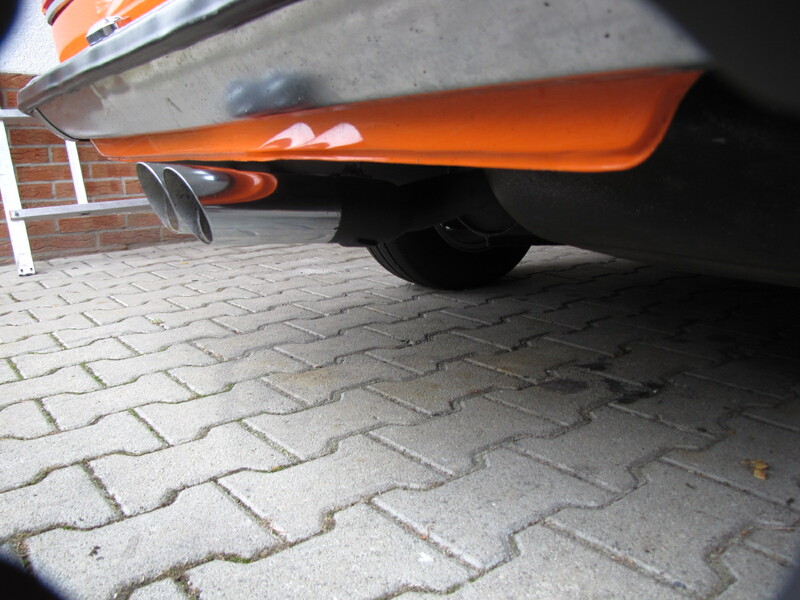 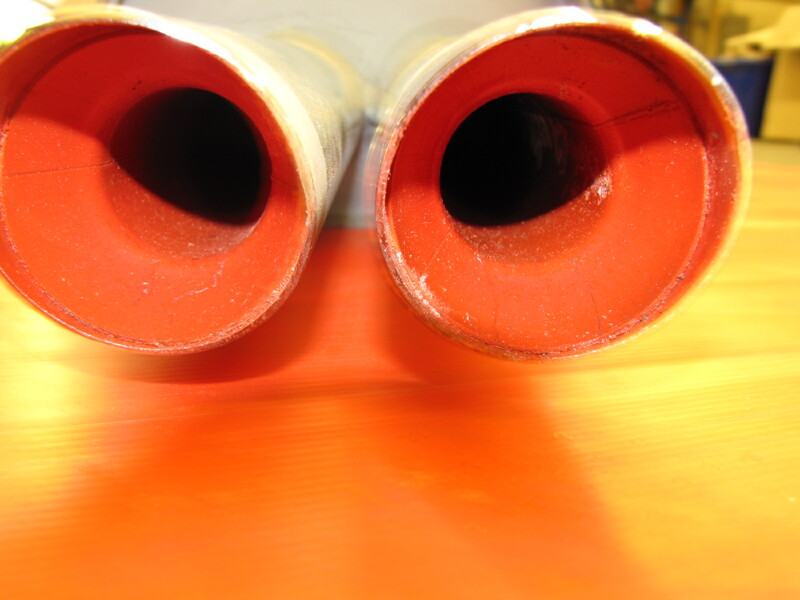 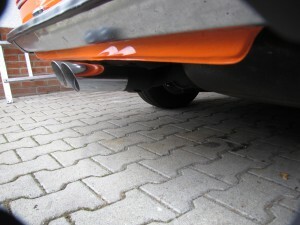 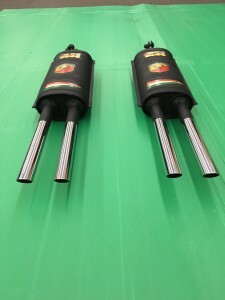 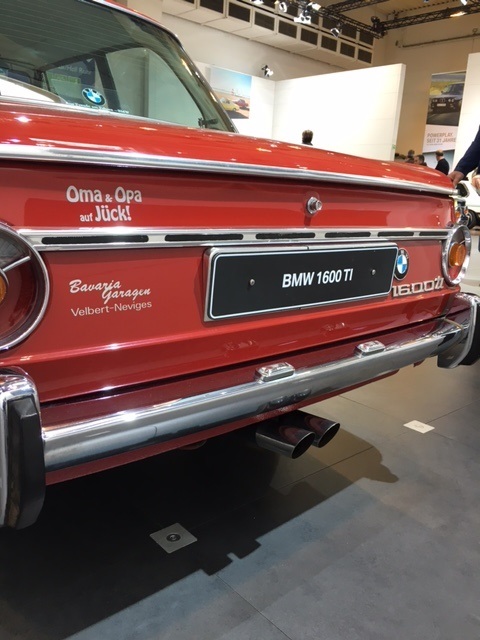 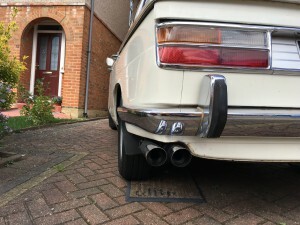 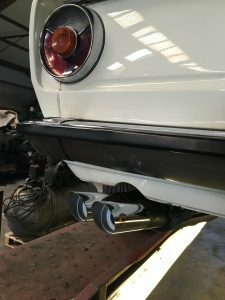 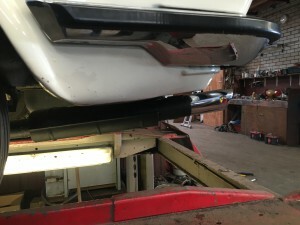 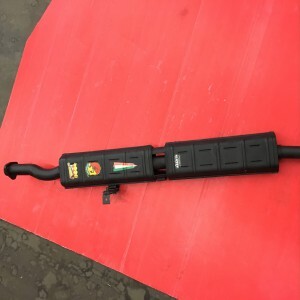 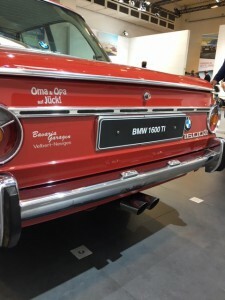 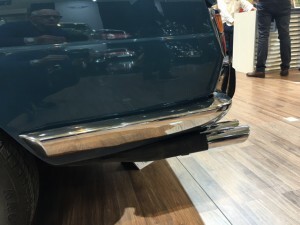 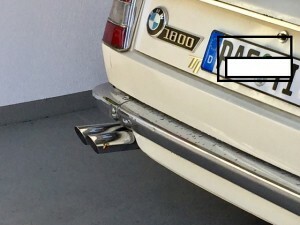 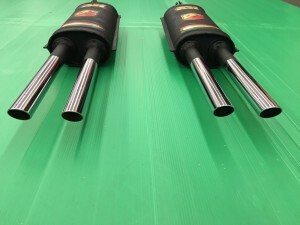 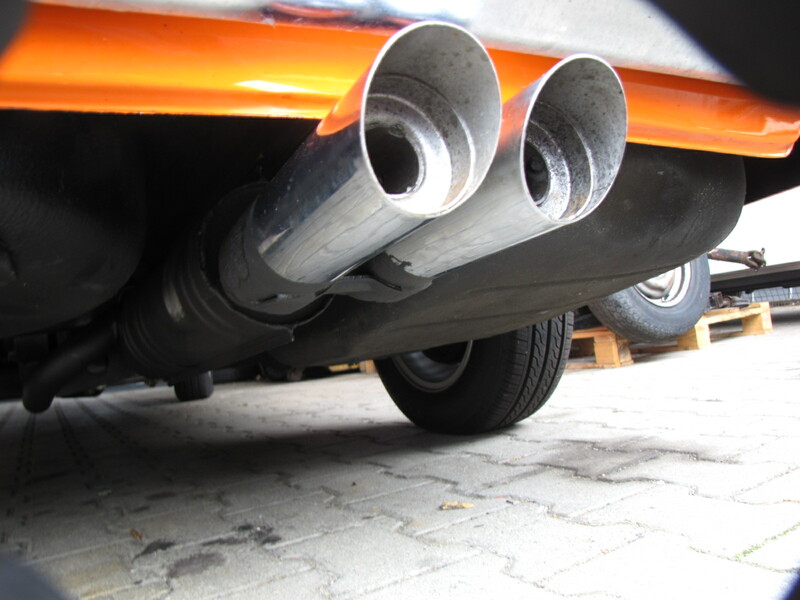 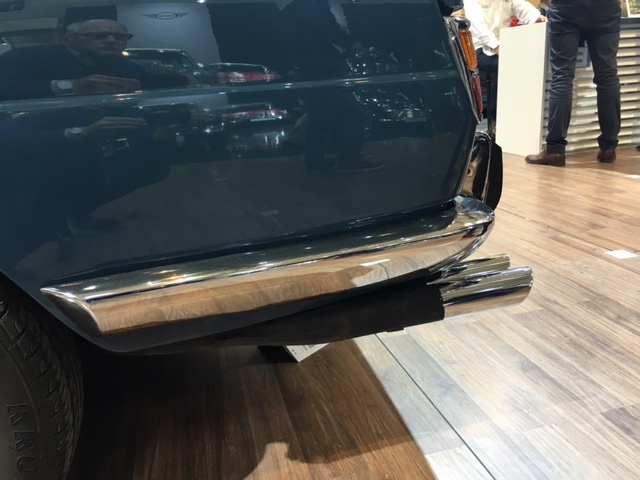 There are two versions of the Abarth endsilencer; 1st series endresonators to the right and 2nd series endresonators 300 mm on the left edge of the E21(Red car from 1982). Please state your chassinumber and year of build. Please compare the pictures! 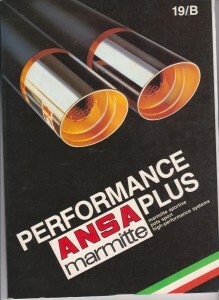 The ANSA exctractors nr. 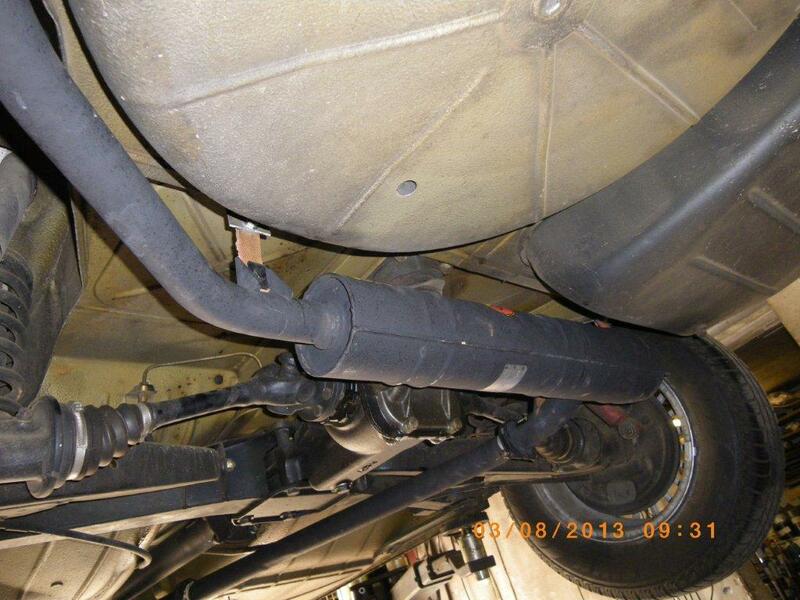 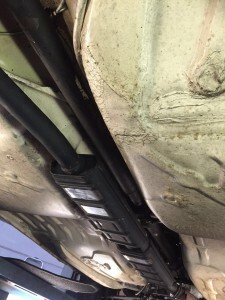 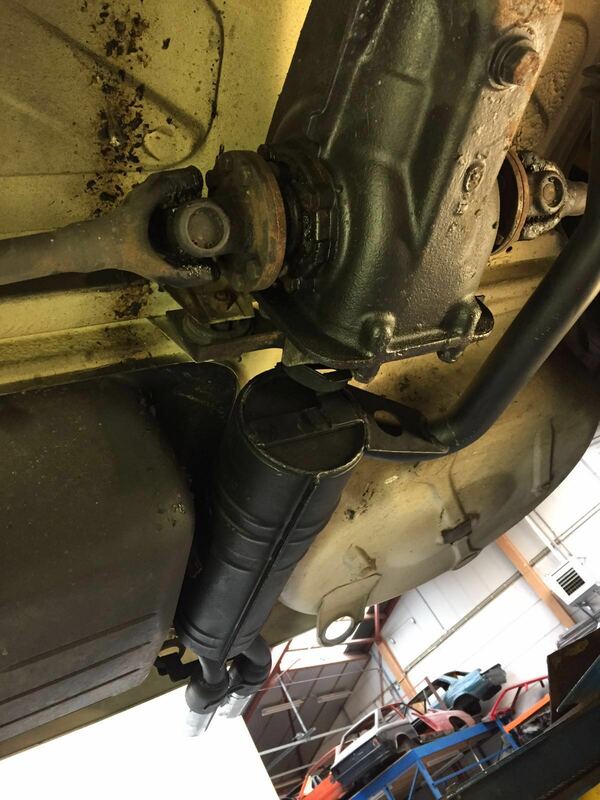 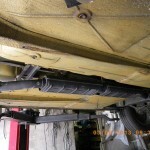 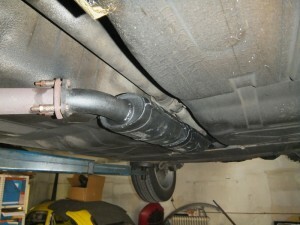 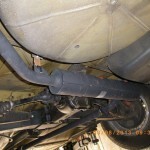 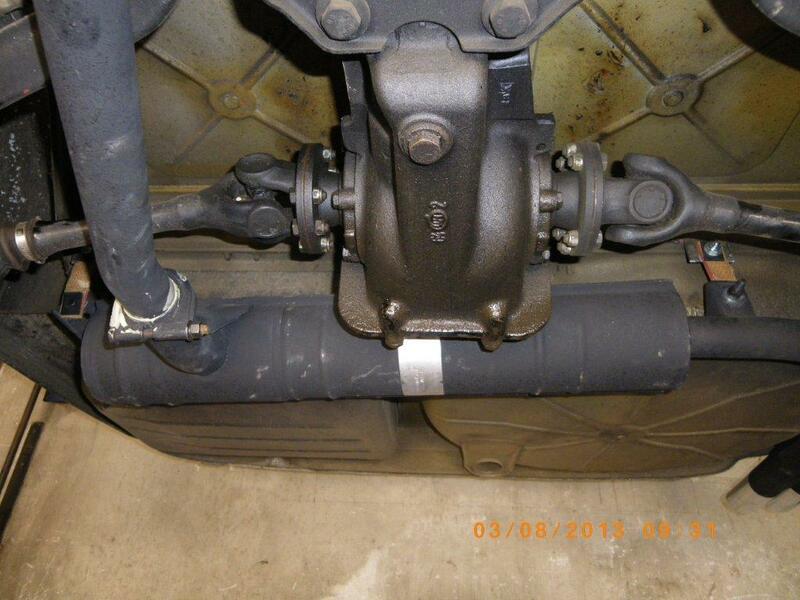 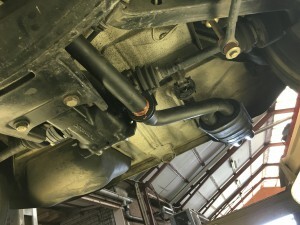 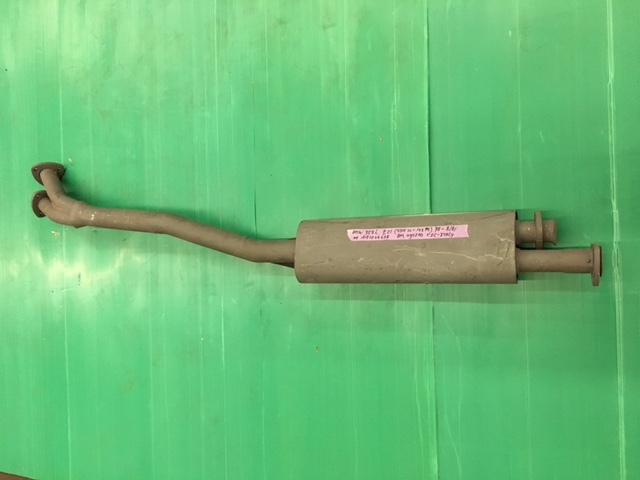 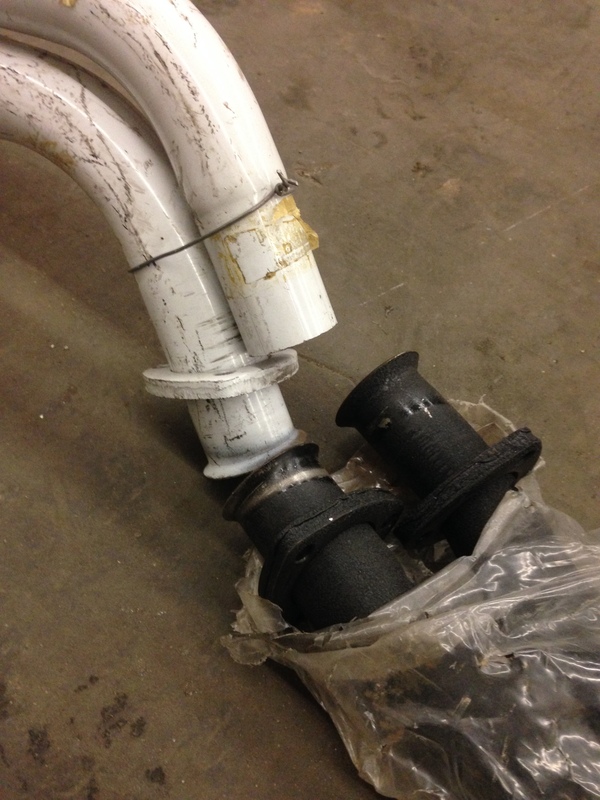 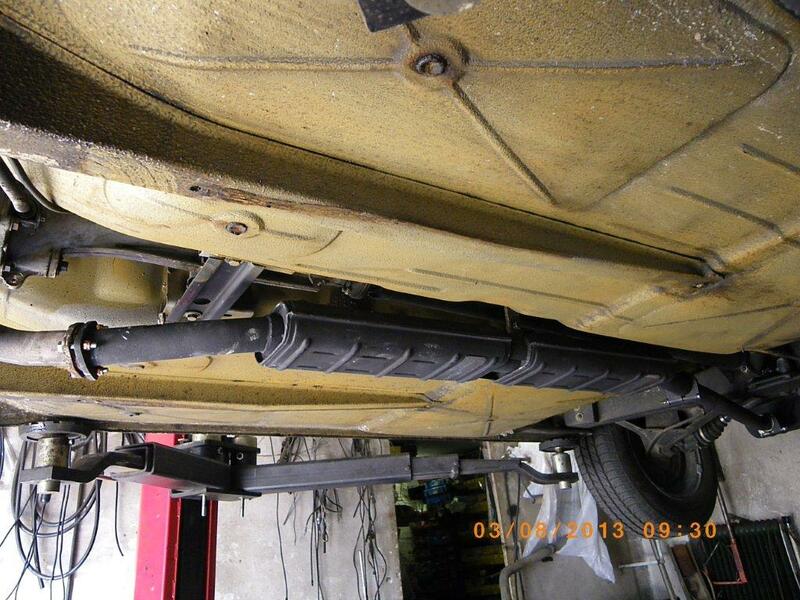 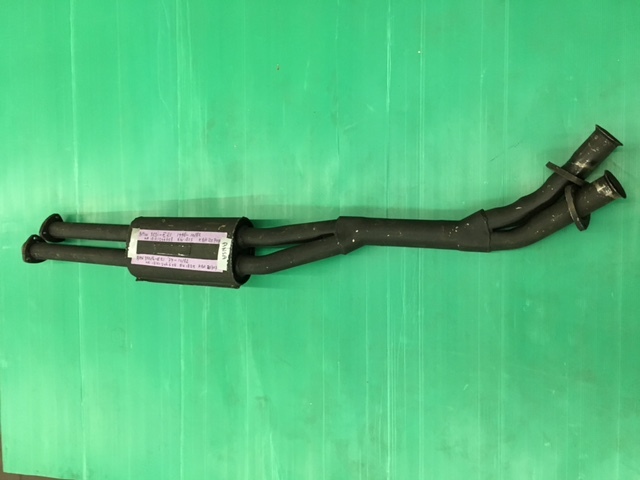 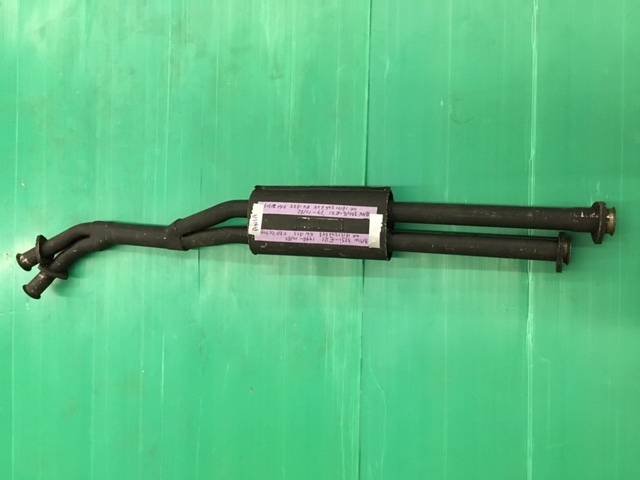 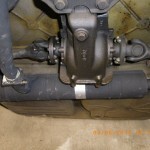 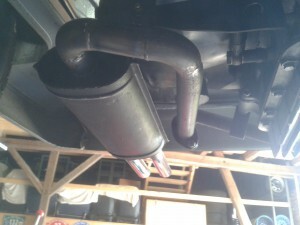 BW3081 will fit to this CSC exhaust system. 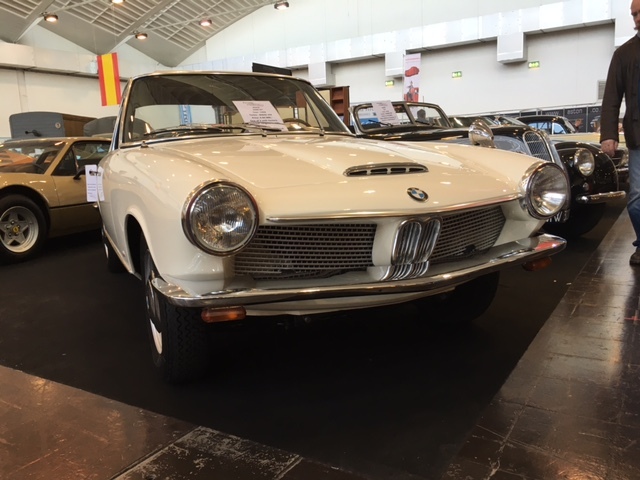 Price € 595,00 Still available! 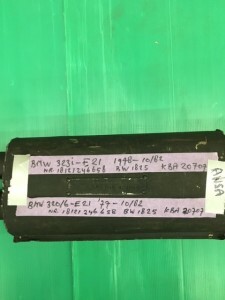 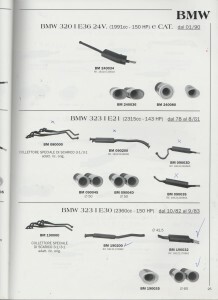 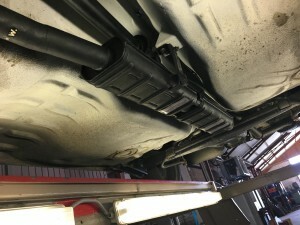 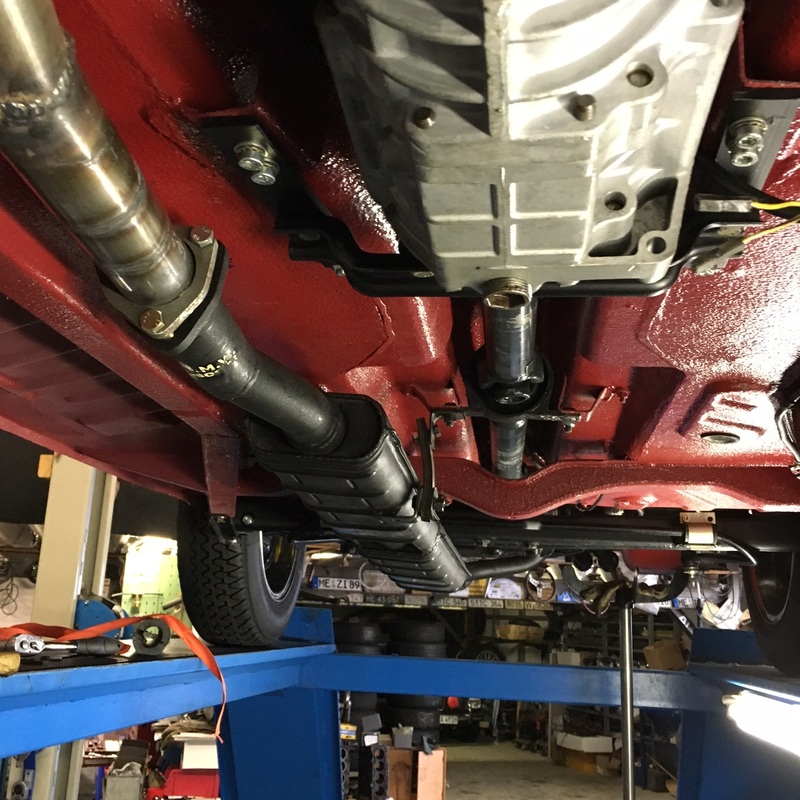 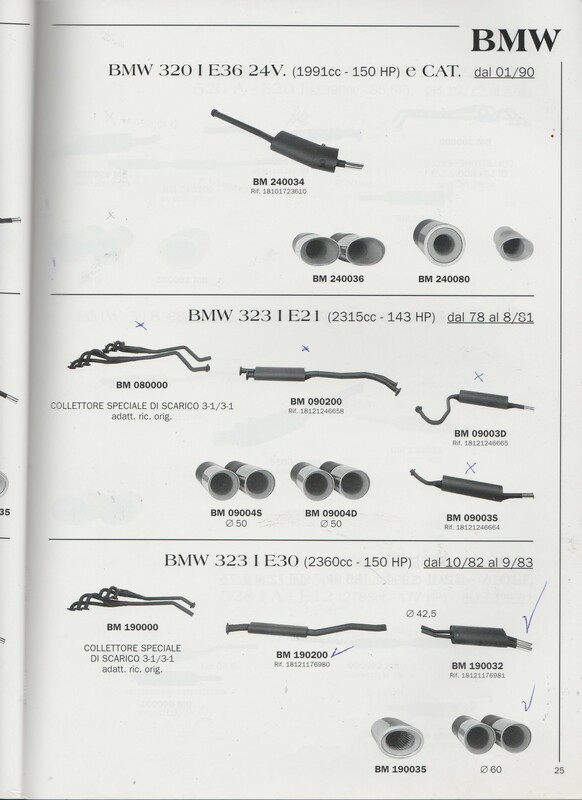 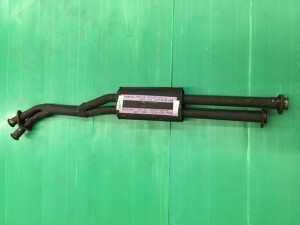 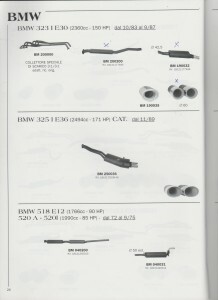 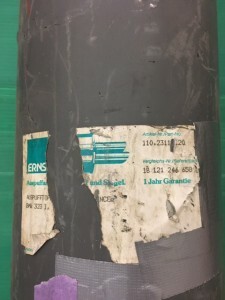 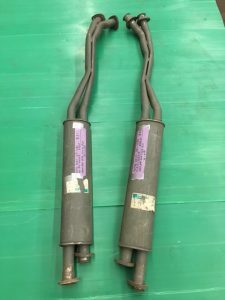 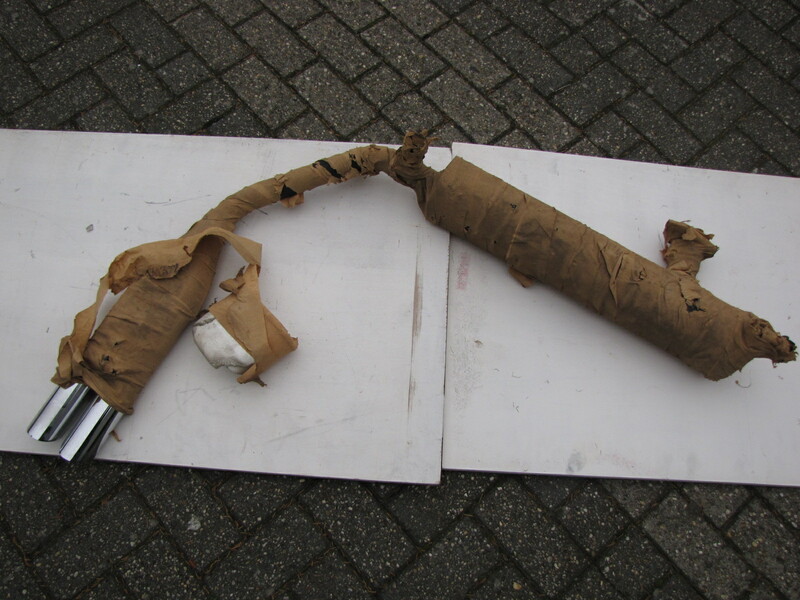 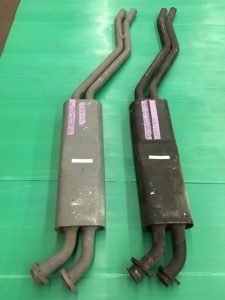 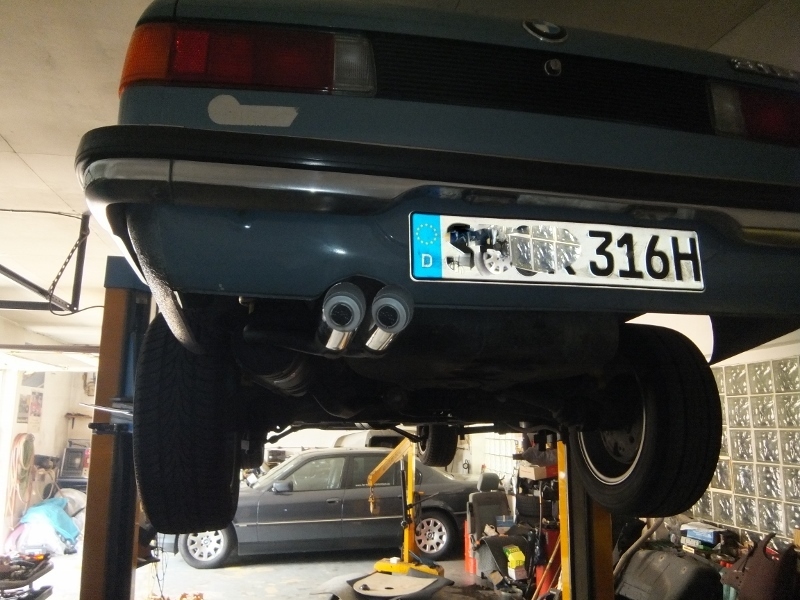 BMW 320i E30, 6 cilinder, 125 HP from 10/1982-till 09-1983 complete exhaustsystem, including 2-part ANSA spaghetti manifold ANSA nr. BW 3081, including ANSA middle silencer and CSC endsilencer with 50 mm diameter pipe and oval 90 mm chrome endresonator. 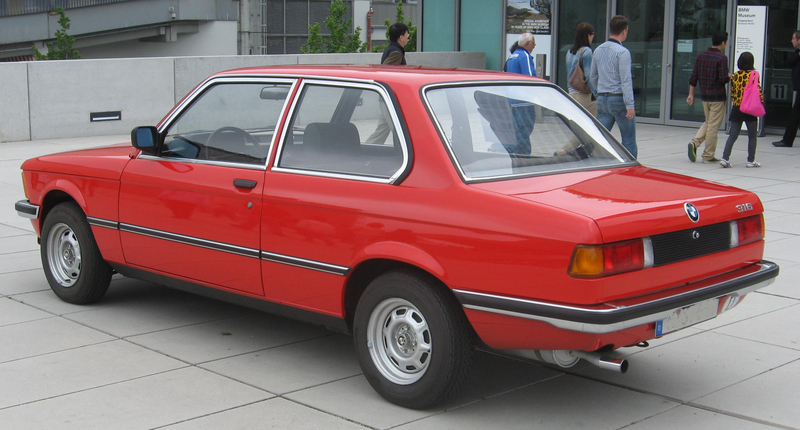 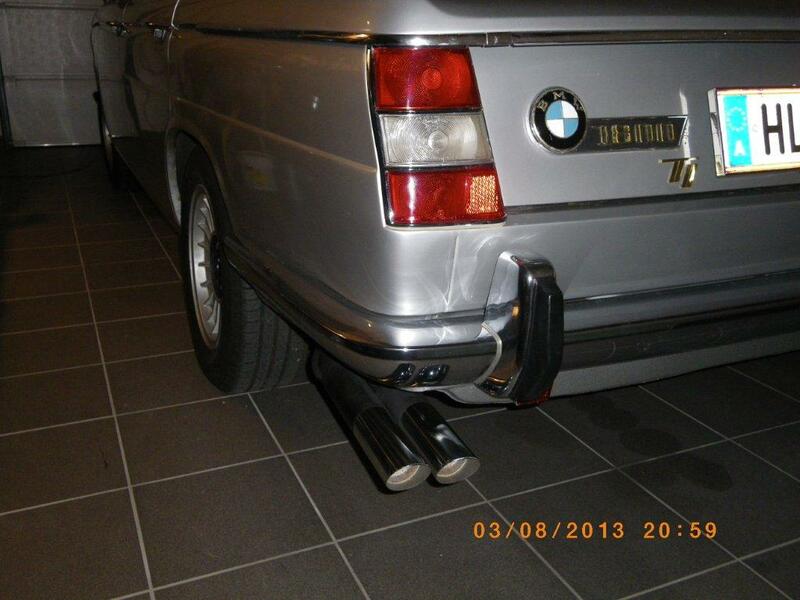 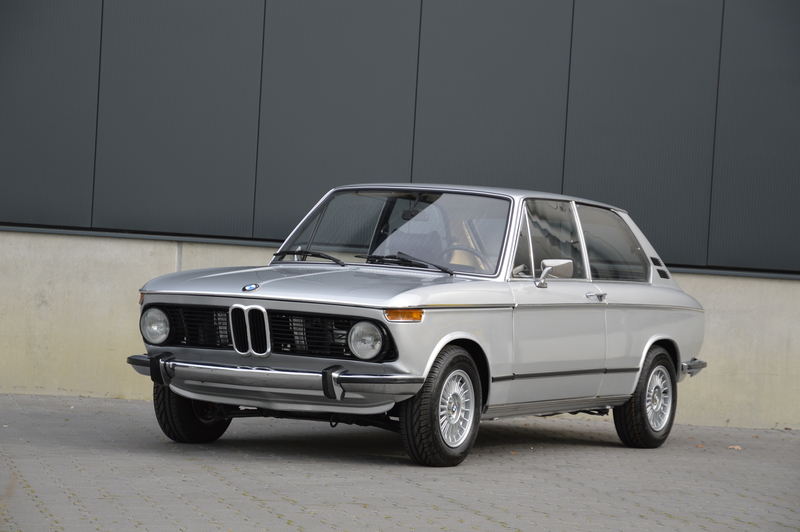 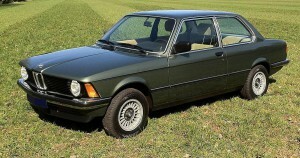 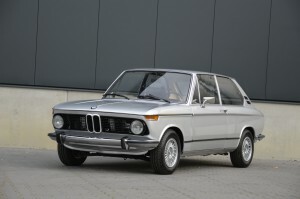 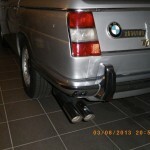 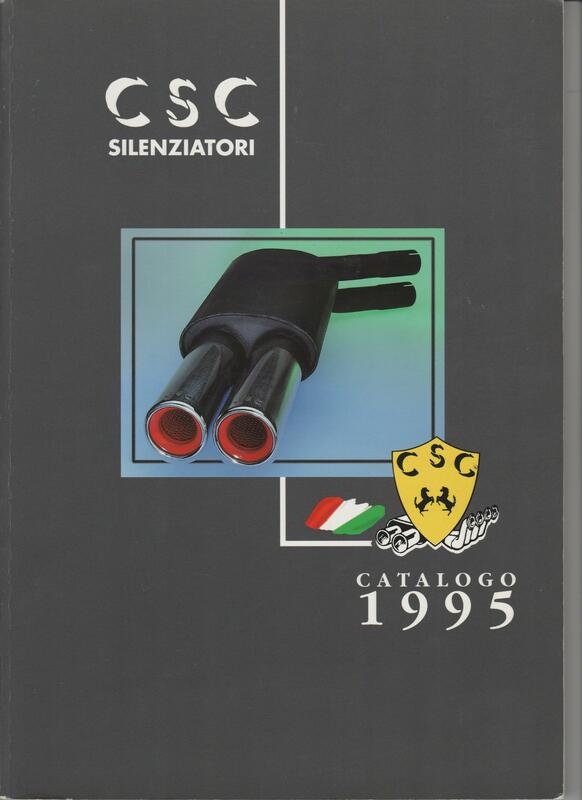 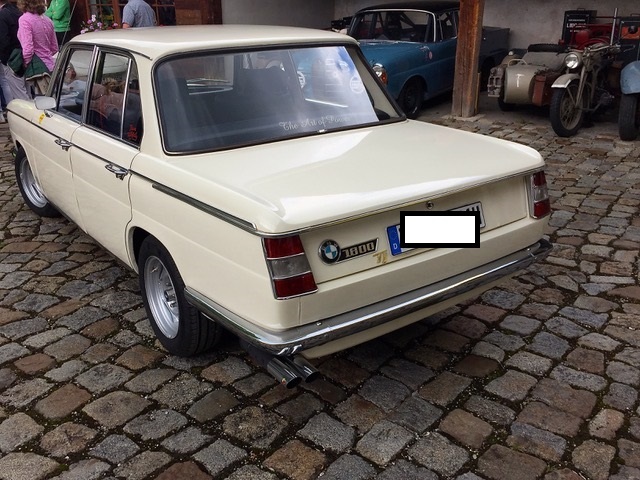 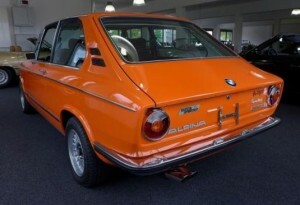 BMW 323i-E30, 2360cc-150 HP from 10-1982 till 9-1983 a CSC Sports middlesilencer nr. 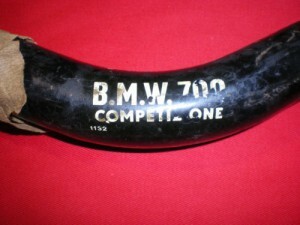 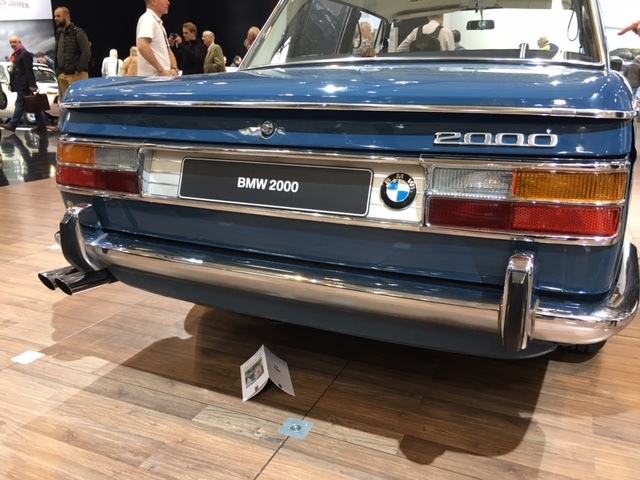 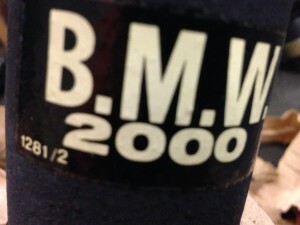 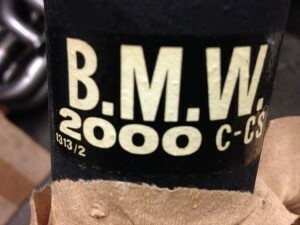 BM 190200, Bmw ref.nr. 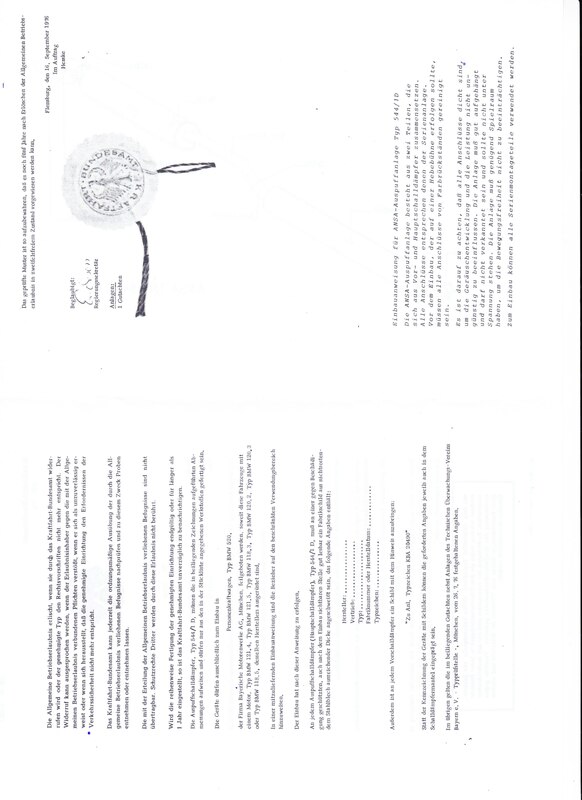 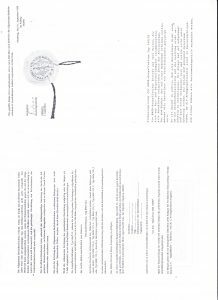 18121176980. 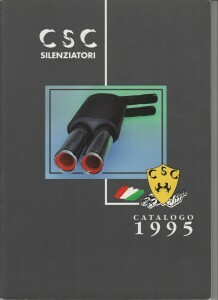 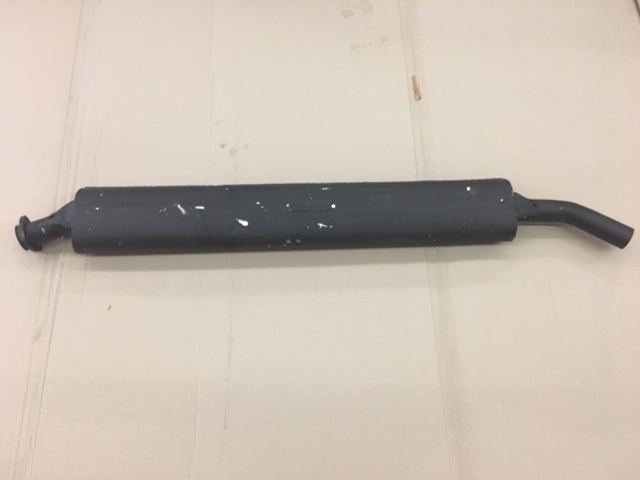 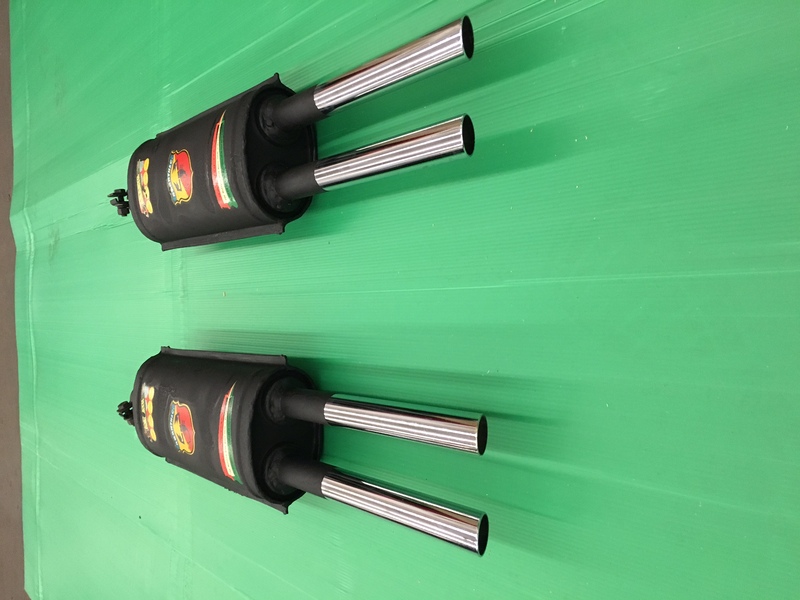 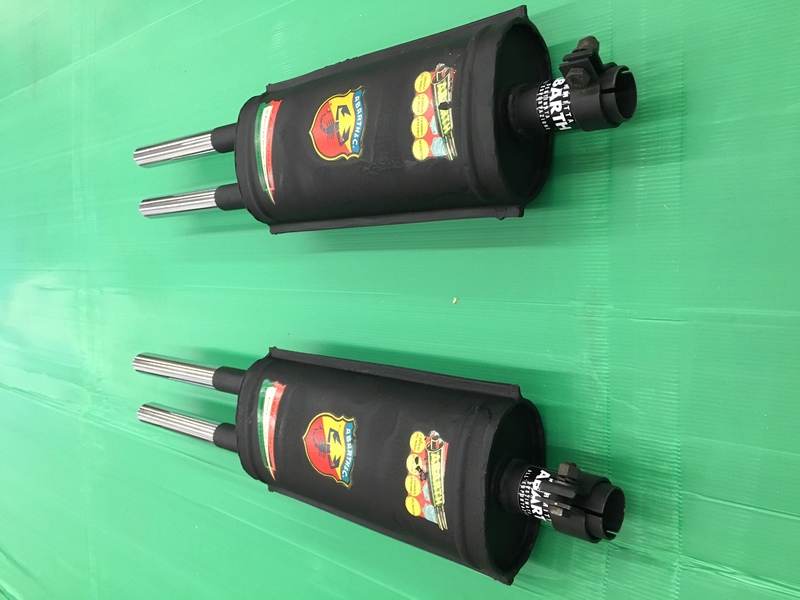 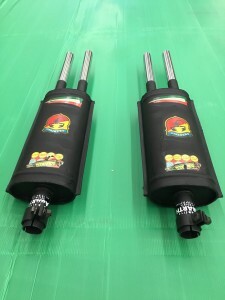 Still one black middle silencer available!